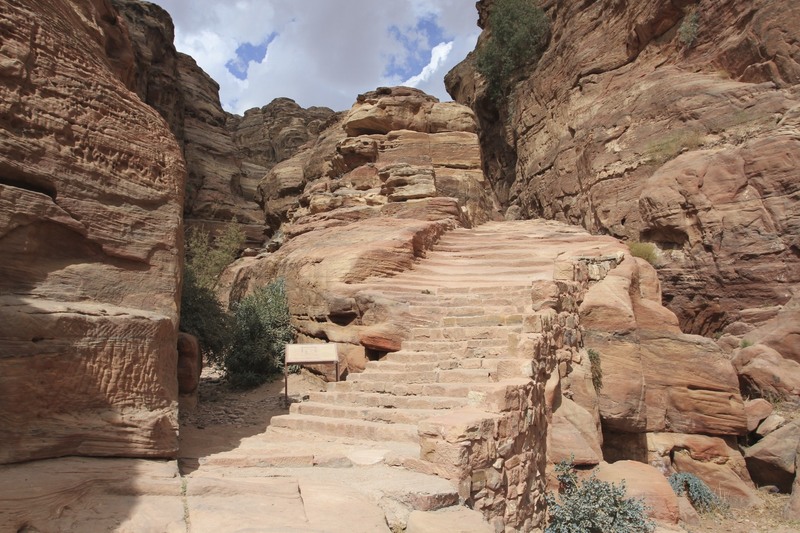 It takes a hike up more than eight hundred long, hot and sweaty steps to reach one of Petra’s most beautiful sights, the Monastery, also know as El Deir. 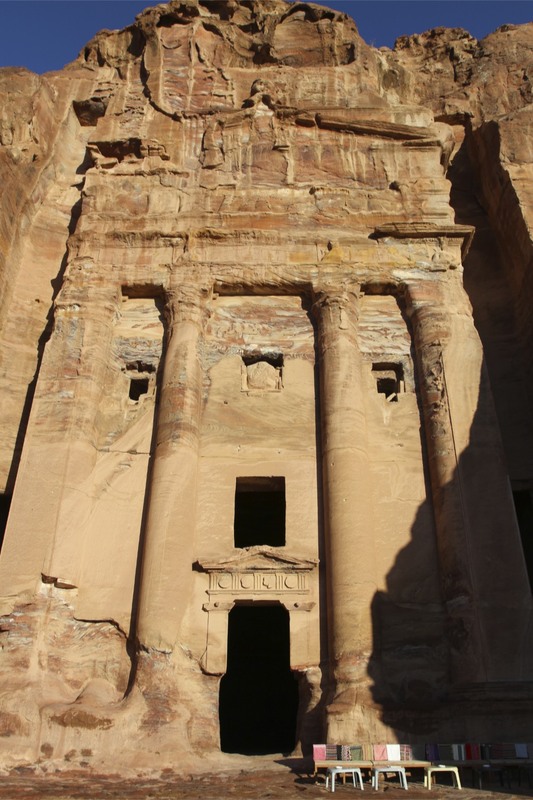 This is perhaps Petra’s finest and grandest building, even outshining the Treasury or Al Khazneh; but those eight hundred steps mean it receives only a fraction of the visitors that crowd into the space in front of Al Khazneh. 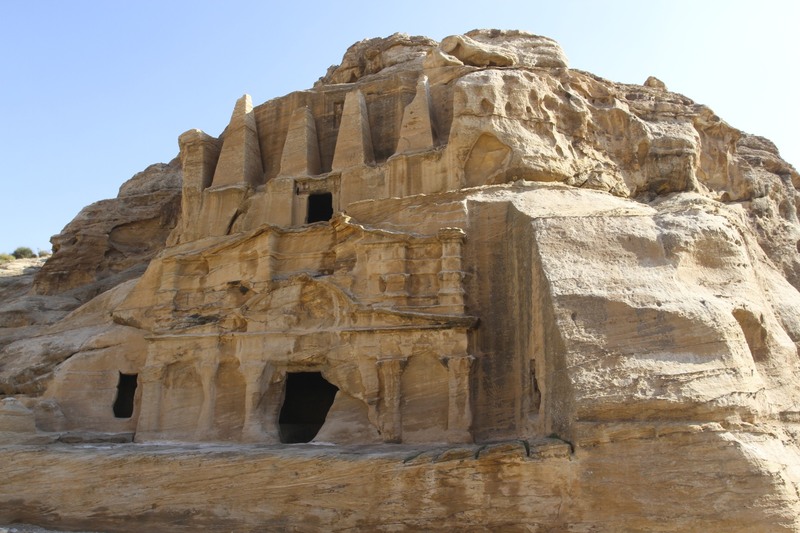 The Monastery probably got its name from the fact that during Byzantine times it was used as a church, but there is little doubt that the Nabataeans who carved it out of the solid rock built it as a tomb. 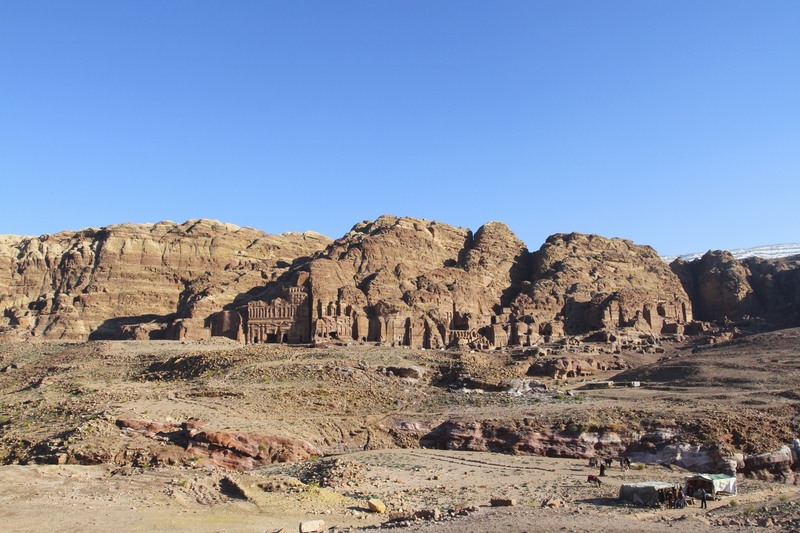 Its location, far from the centre of ancient Petra and high in the hills that ring the city, gives it a feeling of isolation, fitting perfectly the line from John William Burgon’s poem, Petra: “eternal, silent, beautiful, alone”. 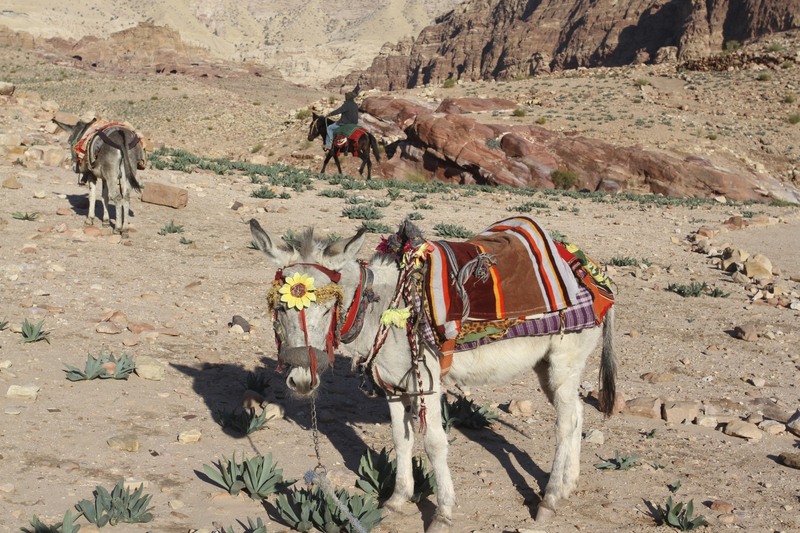 At the bottom of the trail that climbs up towards the Monastery are a collection of Bedouin and donkeys; the first offering a ride up the route, the latter looking much less keen on giving you a ride up the mountain. 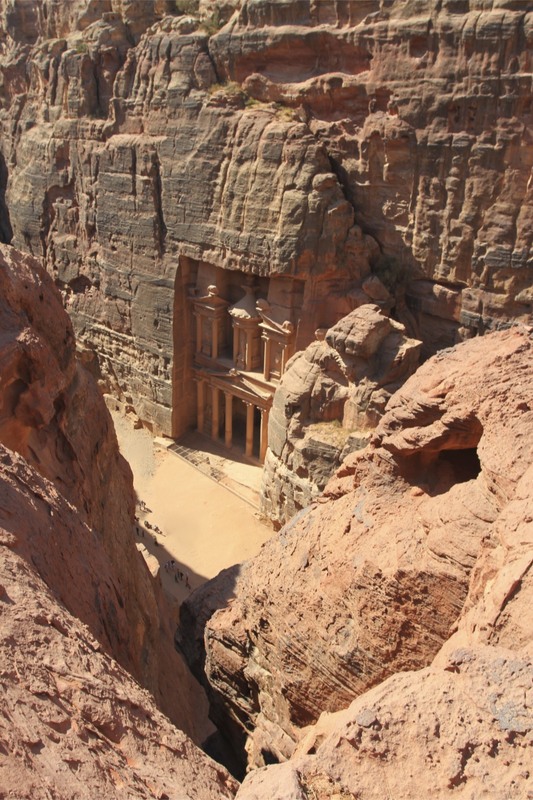 I decided to walk and earn a sweet tea when I eventually arrived at the top, I’m glad I did as it allowed me to make a diversion into a gully when the Lion Tomb can be found. 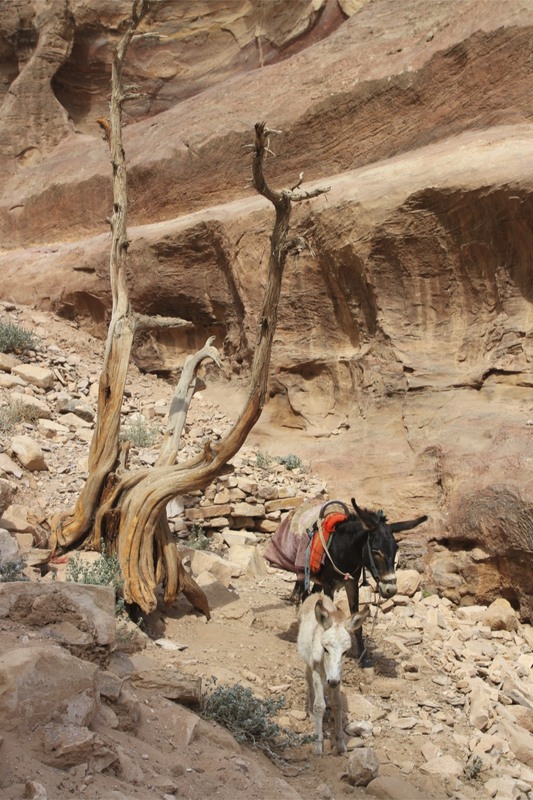 Trekking onwards and upwards I met a few other travellers, some donkeys and several Bedouin who had stalls selling souvenirs and refreshments. Maybe it was because it was late afternoon, but the trail was very quiet. 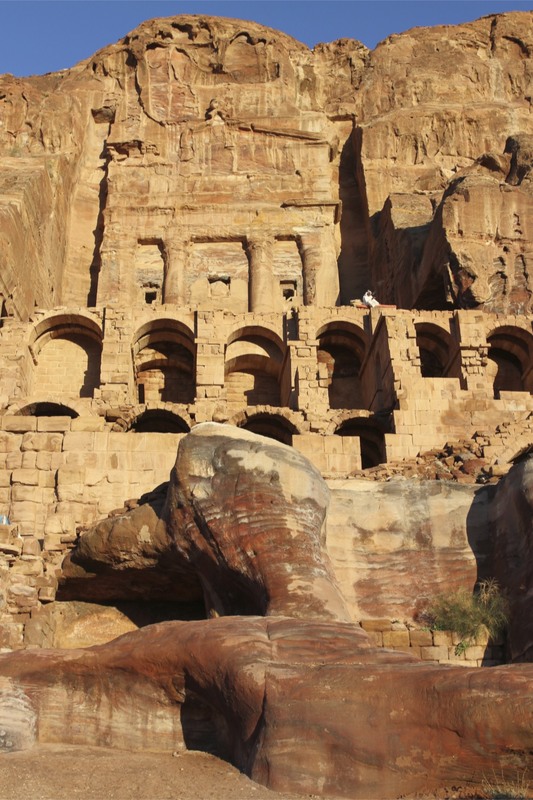 Even when I reached the Monastery there were very few people, and I had unobstructed views of this majestic structure. At this point the weather was still glorious, and I lingered at the small cafe near the Monastery to have a freshly pressed pomegranate juice. Refreshed I set off up one final hill to get panoramic views over the area. As I clambered up it was clear that on the other side of the mountains the weather was changing: a huge storm was brewing and the winds were bringing it in my direction. 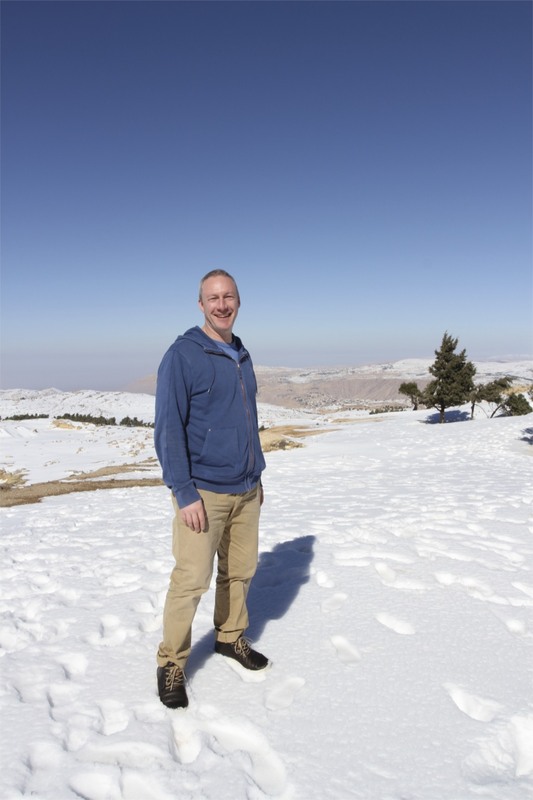 The last time I was in the Middle East it snowed, an unexpected thunderstorm seemed pretty normal by comparison. It didn’t take long for the storm to reach me. 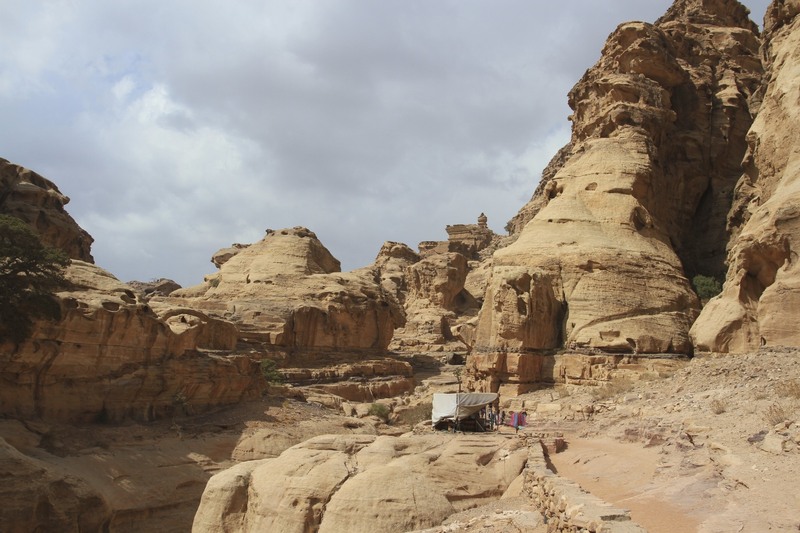 The rain came down in big heavy drops and I sat in the tent of a Bedouin stall on the hill top, drank sweet tea flavoured with sage and admired Petra’s Monastery as it got a soaking. The smell of the rain was extraordinary. 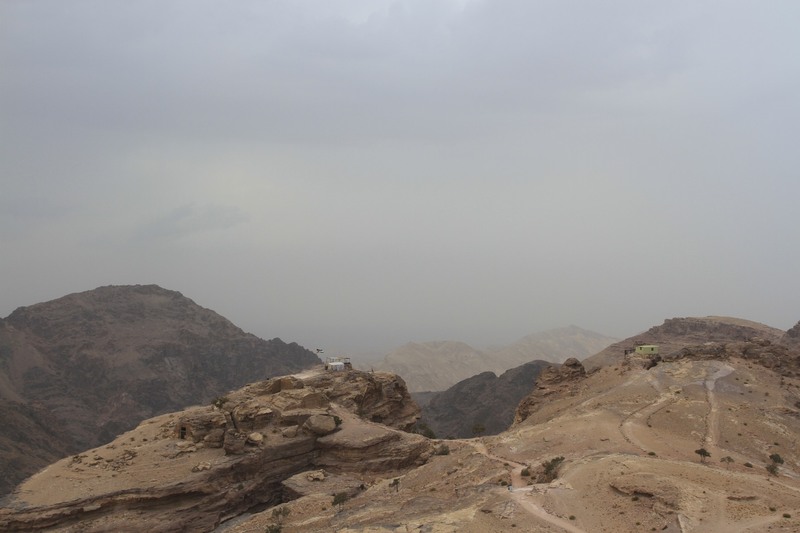 After chatting to my Bedouin host and drinking more sage-infused tea than was entirely necessary, I decided that if I didn’t want to spend the night on a hillside I’d have to brave the rain. A lull in the downpour presented an opportunity to make my escape, but I didn’t get far before the rain started again. 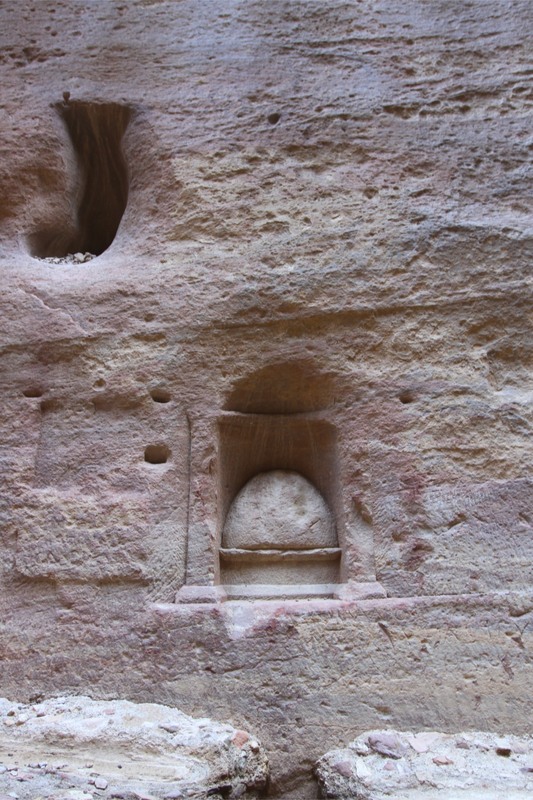 I took shelter in an unfinished but not empty tomb. My companion? A very smelly donkey. The storm stayed overhead for the rest of the afternoon and all through the night. 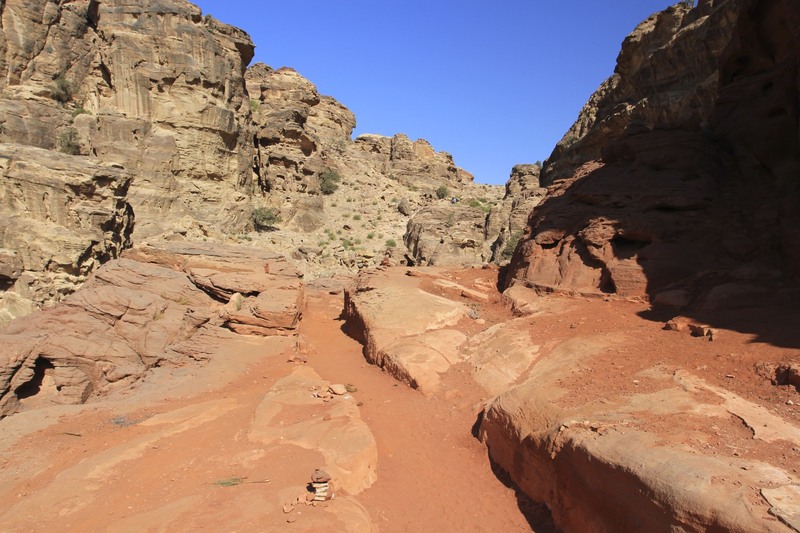 It was still raining the next day and the wadis, dry as a bone when I arrived, were in flood. 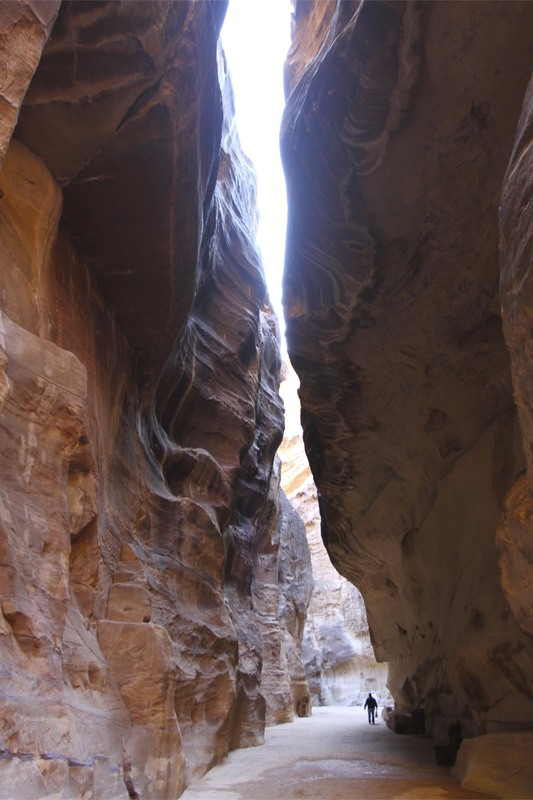 I got to see the famed Nabataean water channels inside Petra working, but decided to cut my losses and head north towards Jordan’s eastern desert. 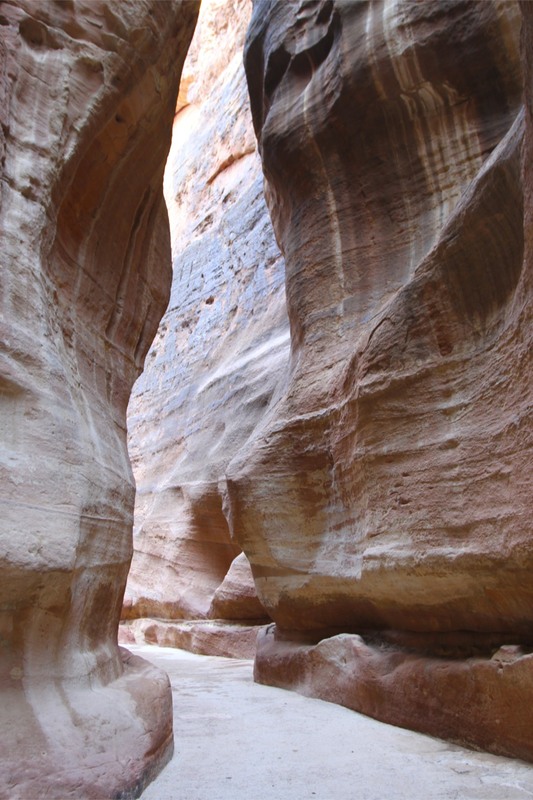 Petra offers many extraordinary sights. 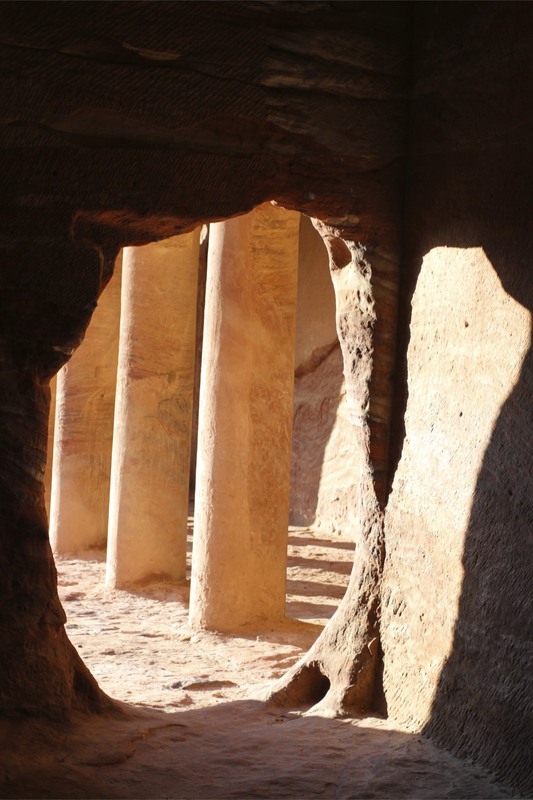 It’s not possible to visit this ancient city without feeling at least a little awed by the majesty of your surroundings, and the skill of Nabataean architects. 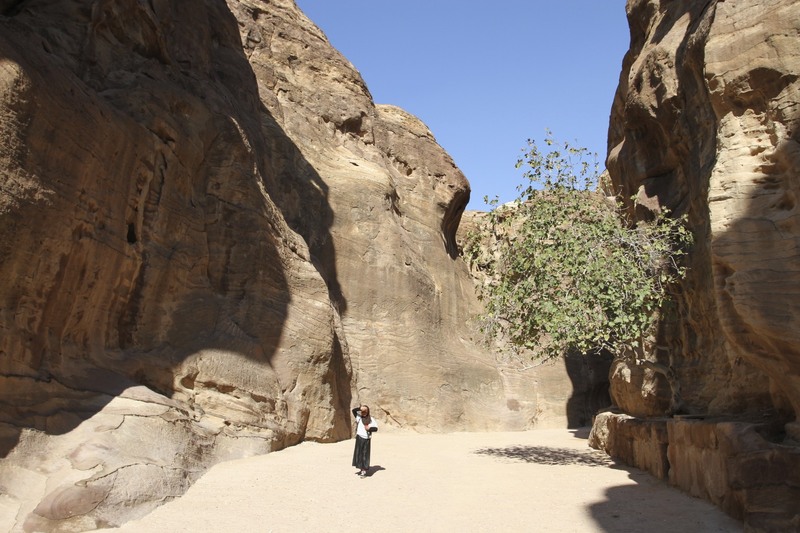 Standing in the centre of Petra on the floor of Wadi Musa, the towering mountains of red sandstone carved with Nabataean tombs are spectacular and make you feel spectacularly small. 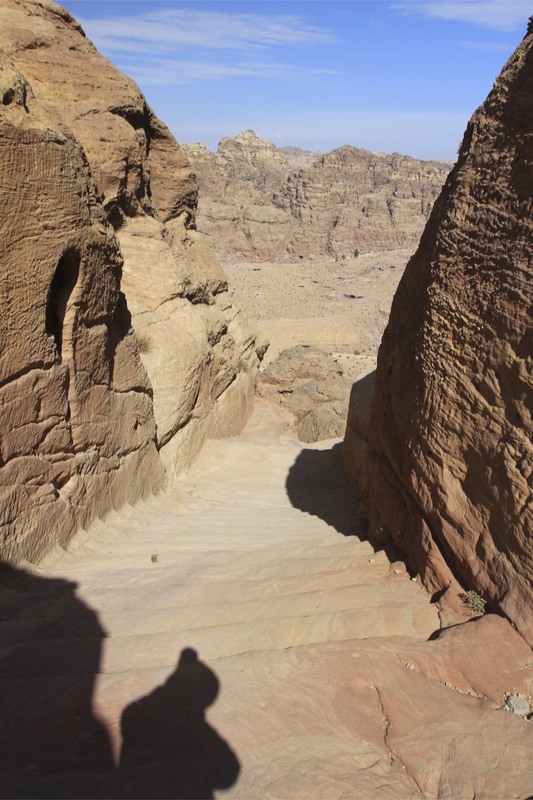 Make the trek to one or more of Petra’s High Places, sacred sites where the Nabataean’s prayed and sacrificed to their gods, and you get a view over the city and its surrounding landscape that can compete with any panorama anywhere in the world. 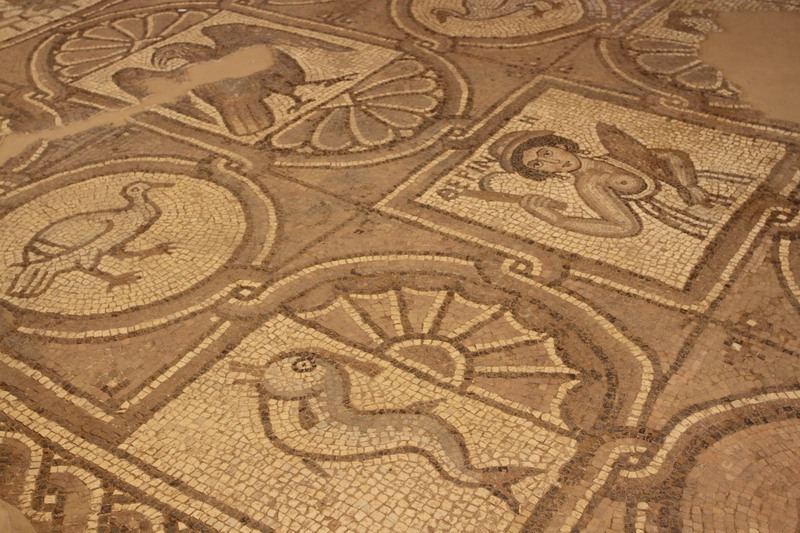 I walked along a ridge opposite the Great Temple that took me past a former royal palace and a Byzantine-era church with an exquisite mosaic floor. The views back towards the ancient city centre were fabulous. 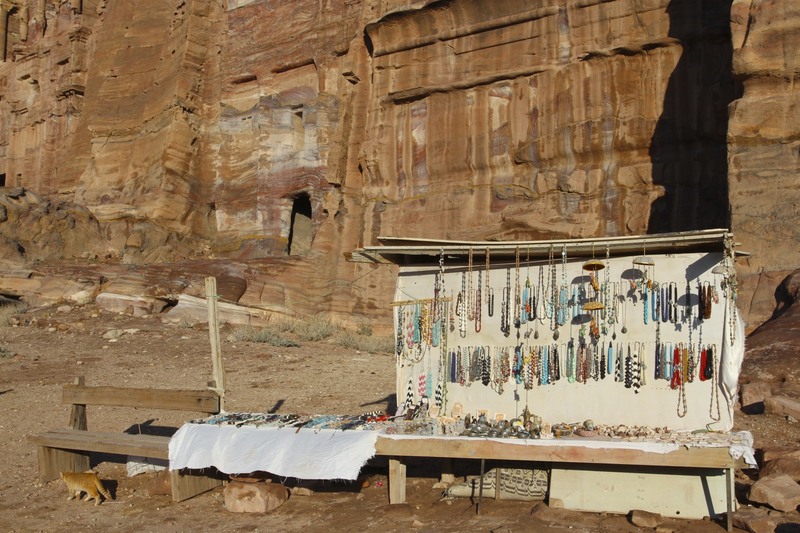 Passing a couple of Bedouin souvenir stalls I crossed an old water channel and climbed upwards towards the wondrous Royal Tombs. 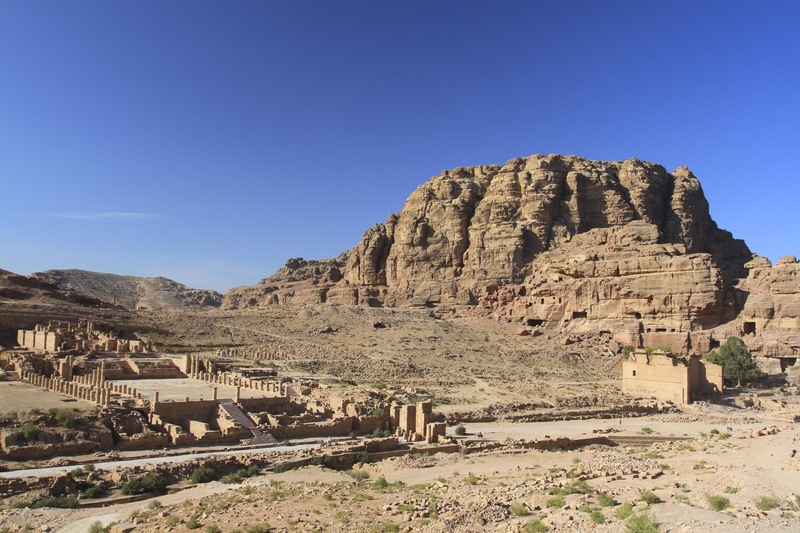 On the far left of the Royal Tombs is the start of a trail that leads sharply up hill towards Al Khubtha, a sacred site where the Nabataeans would have sacrificed sheep, goats and even camels to their gods. 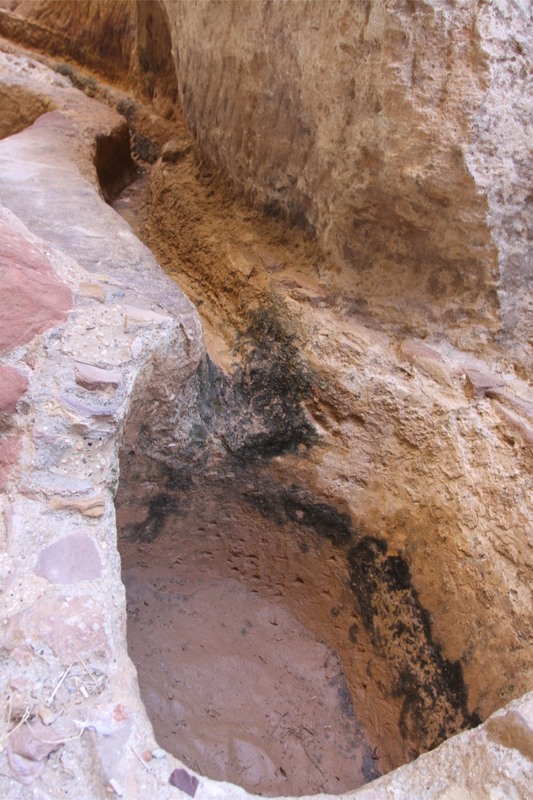 There is an alter here and channels where the blood of the sacrificed animals would have run into a basin. 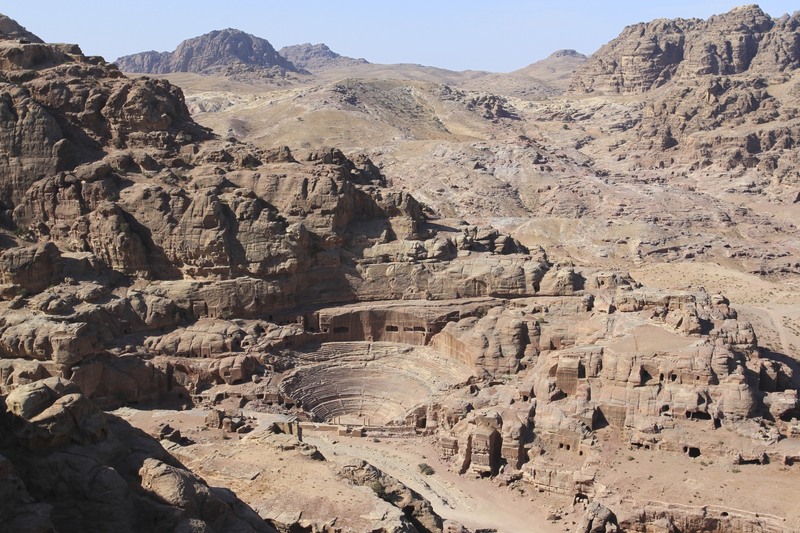 It offers tremendous views over the city and the amphitheatre. 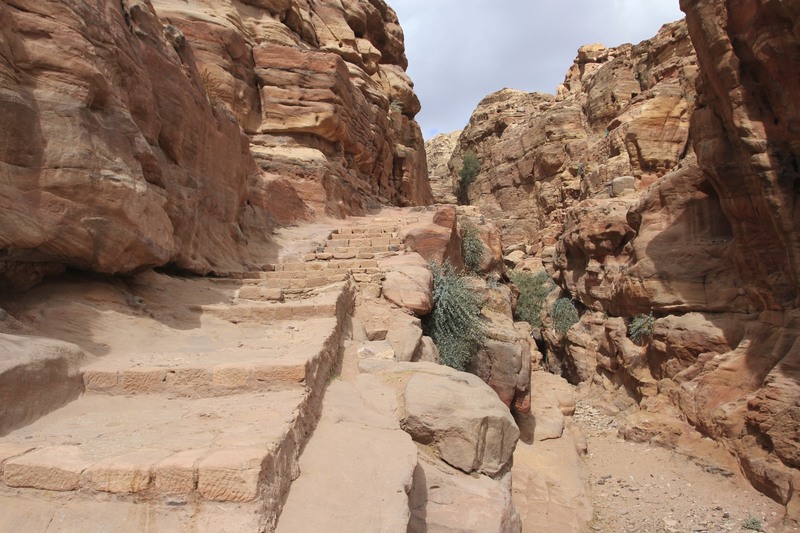 The track descended towards my final destination, a viewing point perched precariously 200 metres up on the cliff edge overlooking the Treasury. It was a slog to climb up the mountainside but the views really were extraordinary. This is not a place for those with vertigo, looking down on the Treasury is dizzyingly perpendicular. It’s fascinating to stand here and watch the comings and goings below. 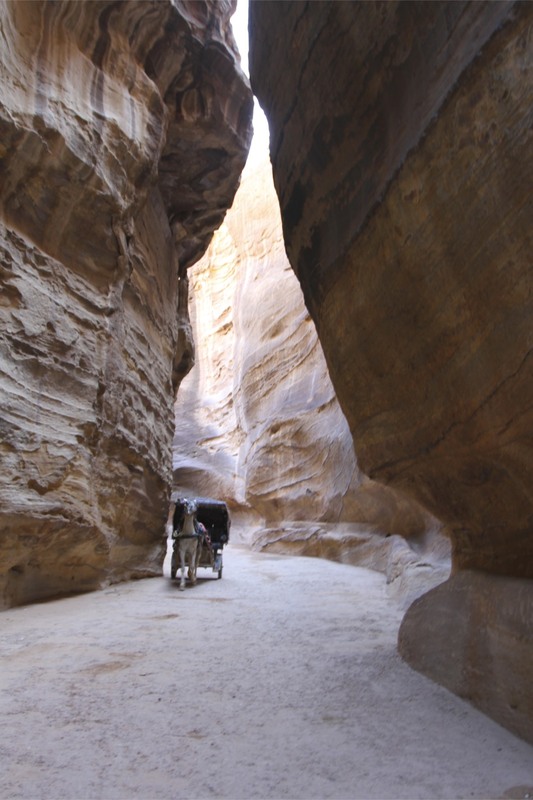 People ride camels, tour groups pass through, conversations, amplified by the canyon below, resonate upwards. 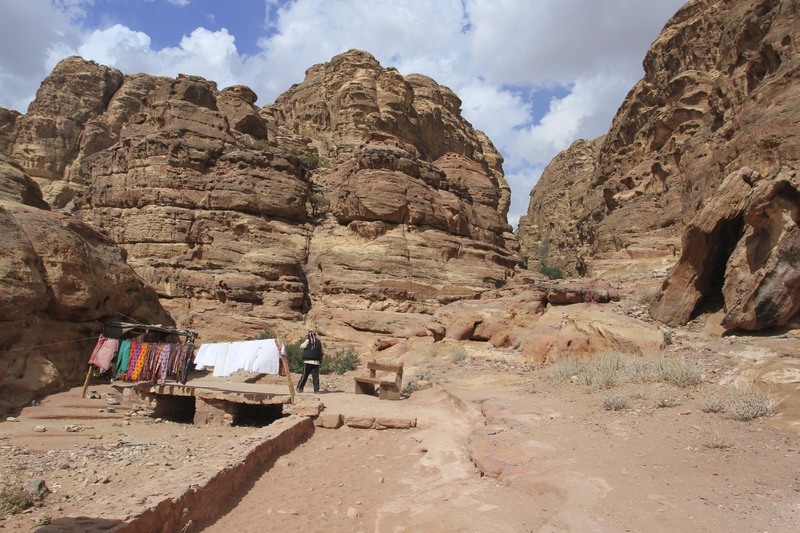 There are a couple of Bedouin tents at the viewing point, but when I arrived there was no one there. 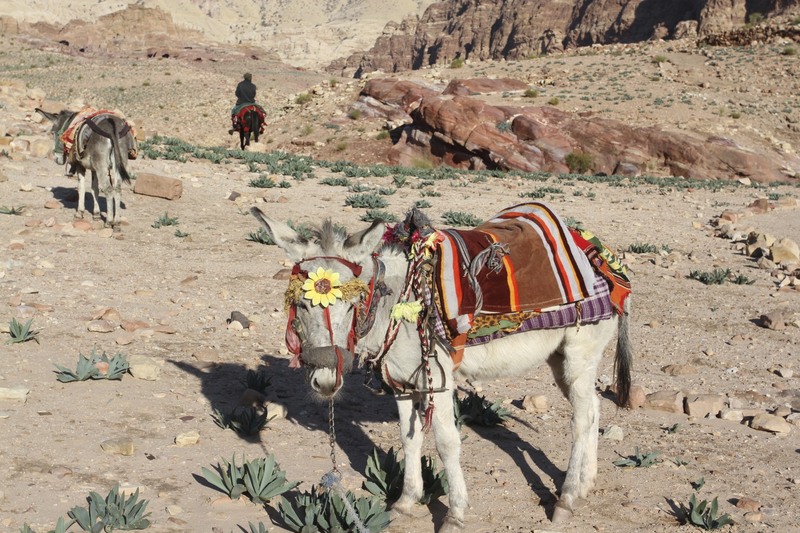 After a while a donkey carrying an Australian woman and led by a young Bedouin man arrived. 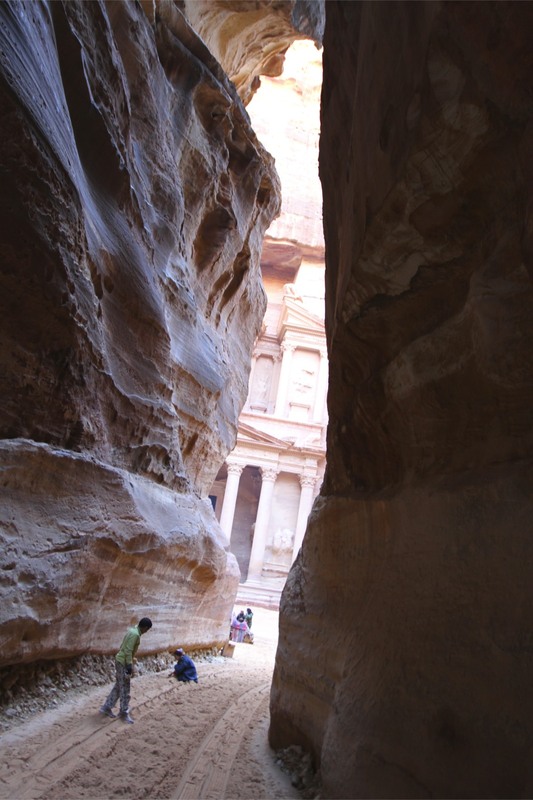 We had a quick chat and then the young Bedouin did something inexplicably risky. 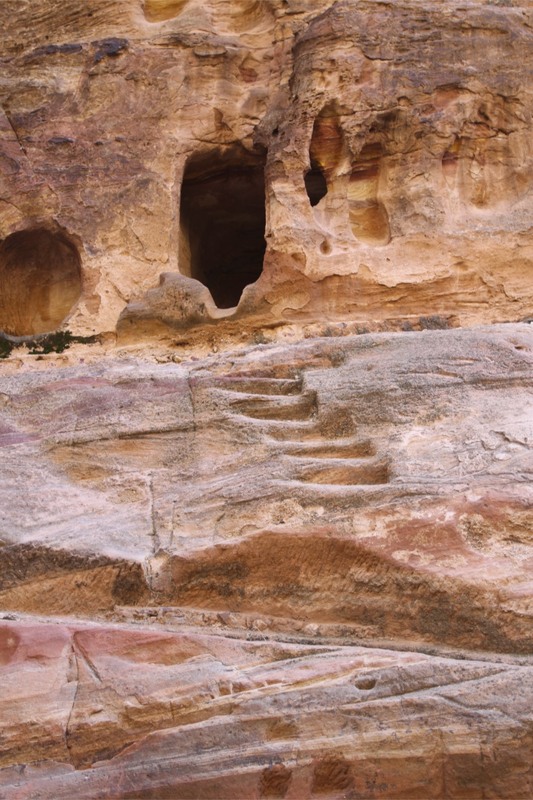 He jumped down the rocks and sat on the very edge of the cliff and started to play a flute. If I hadn’t felt quite so anxious for his safety I might have enjoyed the flute playing a bit more. 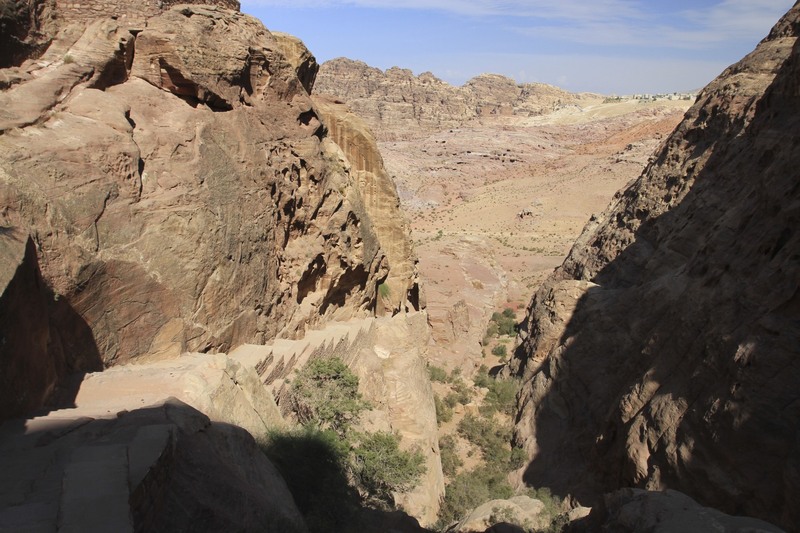 There is something unsettling about watching someone dangling their legs over a vertical drop to certain death. 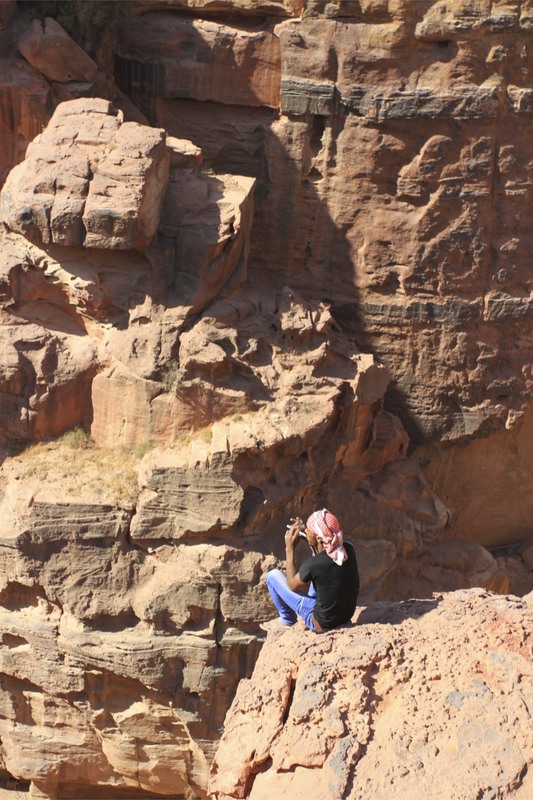 I left him to play on, whether the people in the wadi below could hear the music I couldn’t tell. I hope so. 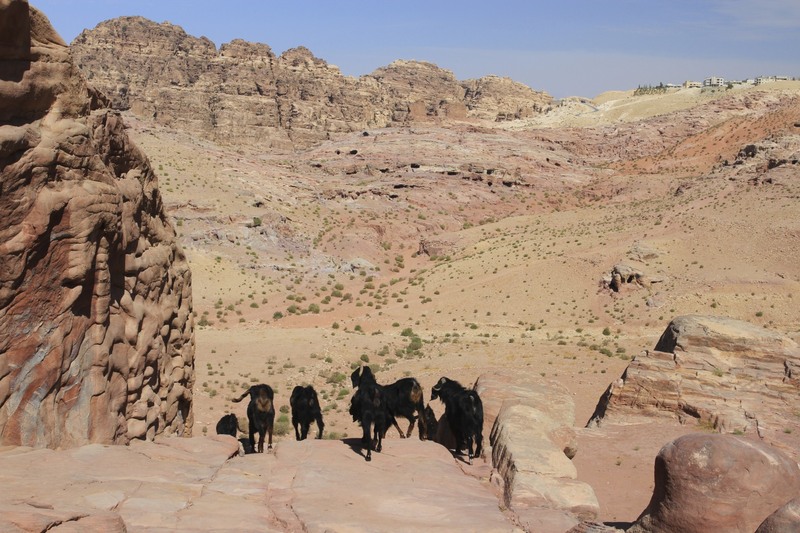 He was clearly a modern day Bedouin Pied Piper because, after not seeing anyone else on the mountainside, on my way down I met several people and small groups on their way up. 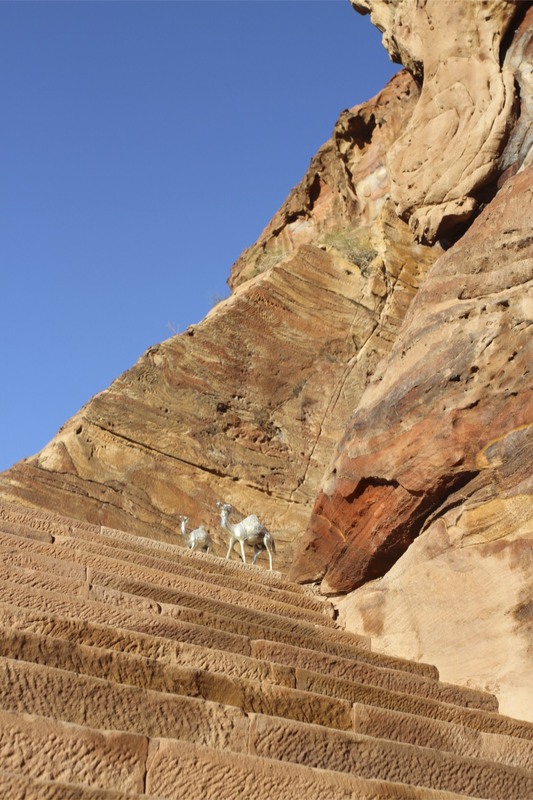 I passed a goat herd along the trail. 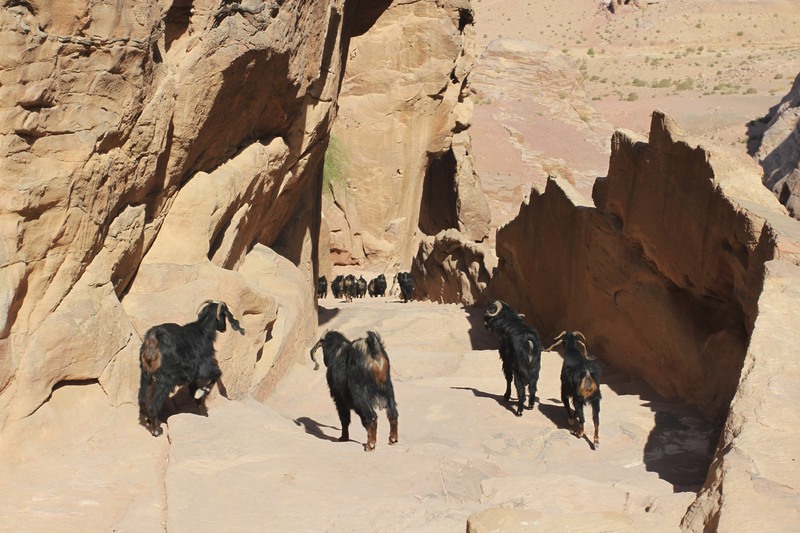 I’m not sure why, but they decided, en masse, to follow me down the mountain. I stopped to let them pass, they stopped and stared at me. I carried on walking, they followed behind. 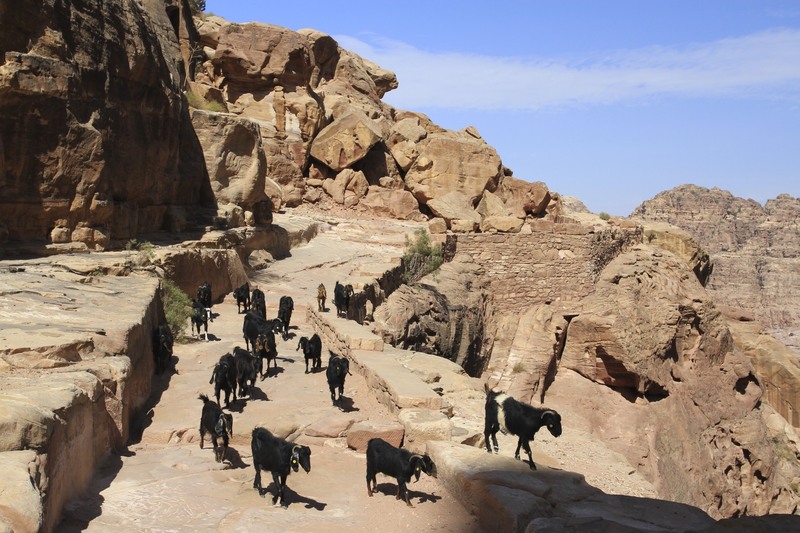 I started to feel like they had malicious intent, like they might be about to avenge the many goats that had been sacrificed to the Nabataean gods. They seemed unconcerned by my concerns. Near the bottom of the trail they finally overtook me and disappeared. 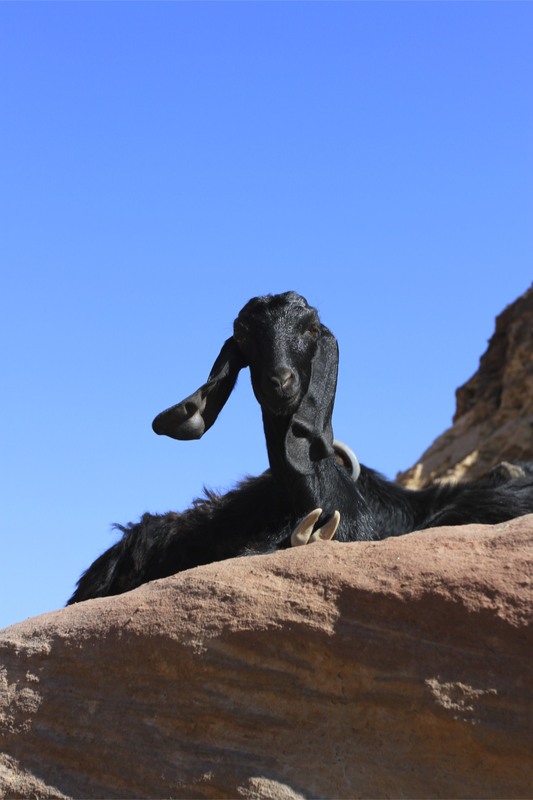 It was touch-and-go, but I’d survived a close encounter with homicidal goats, probably descended from forebears sacrificed on this very mountainside. 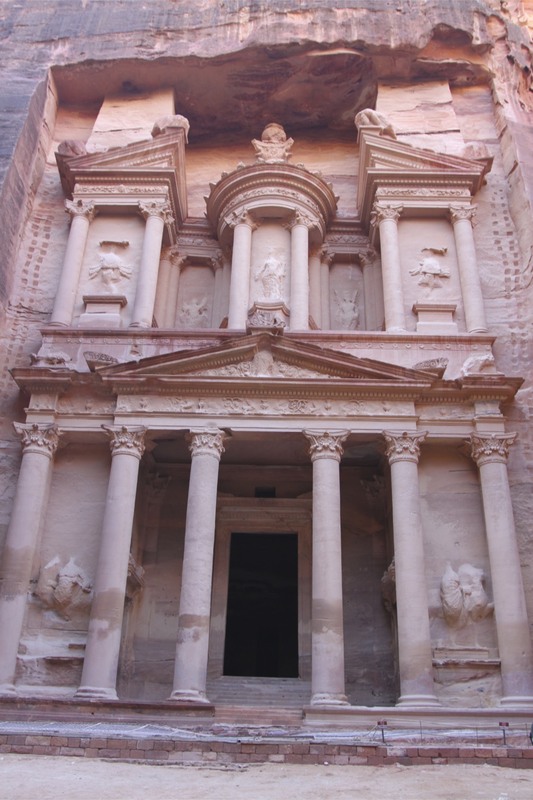 Standing in front of the Khazneh el Faroun, the Treasury of Petra, is to stand in the ruins of a majestic ancient civilisation. 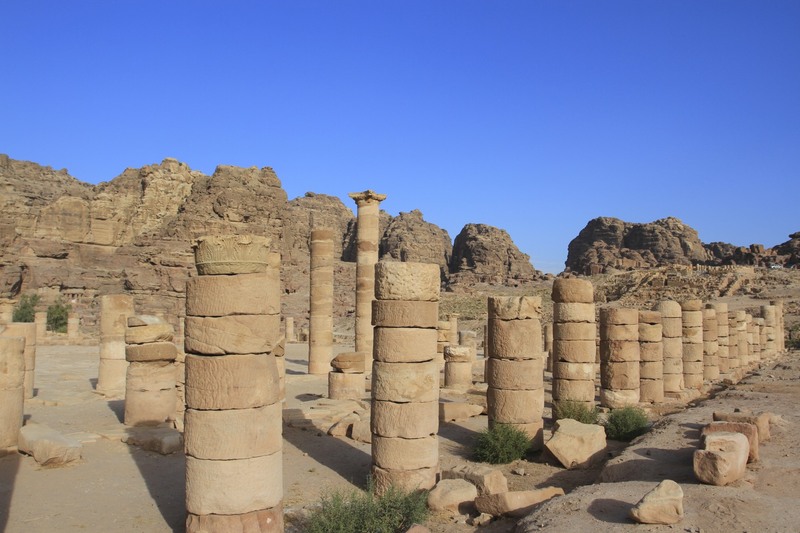 The giant Greco-Roman columns stretching towards the deep blue of the sky are a magnificent reminder of the extraordinary civilisation which left all this behind. 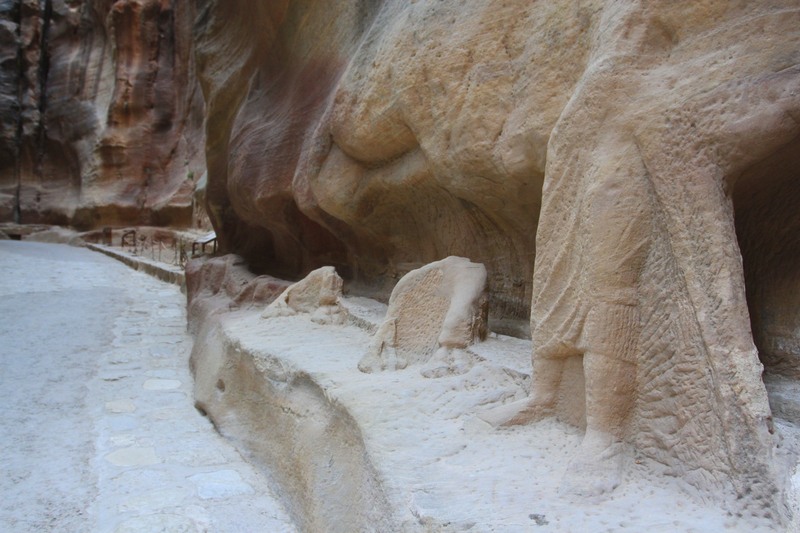 A civilisation that not only carved out a flourishing empire amongst these mountains, but literally carved a city out of and into the red sandstone. 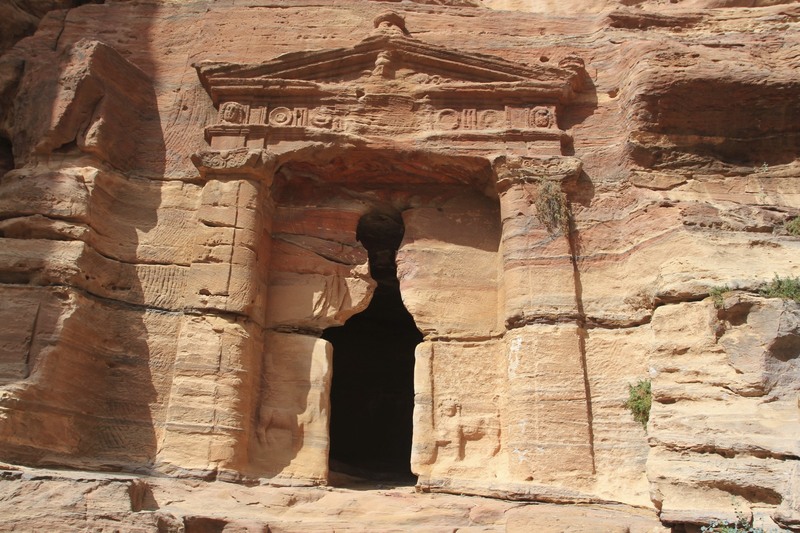 Our guide said many people only came for the Treasury; having seen this iconic building they return up the equally iconic Siq canyon and leave the rest of Petra unexplored. 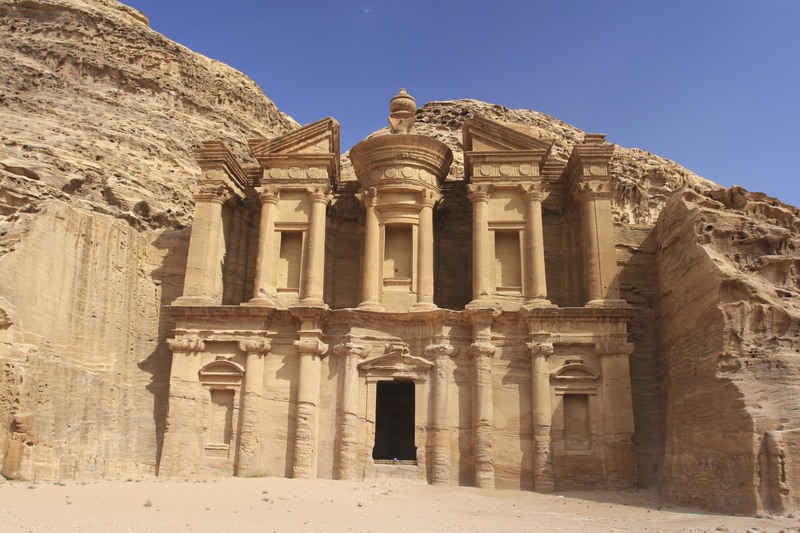 We only had half a day, but that is more than enough to venture further afield, although it would take days, if not weeks, to explore the whole of Petra. 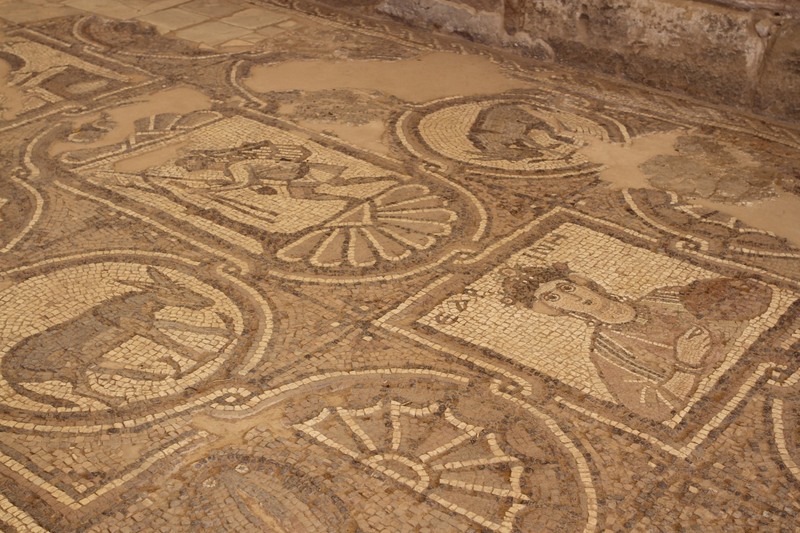 Only 15 per cent of the city has been uncovered by archaeologists, leaving multiple mysteries yet to be discovered. 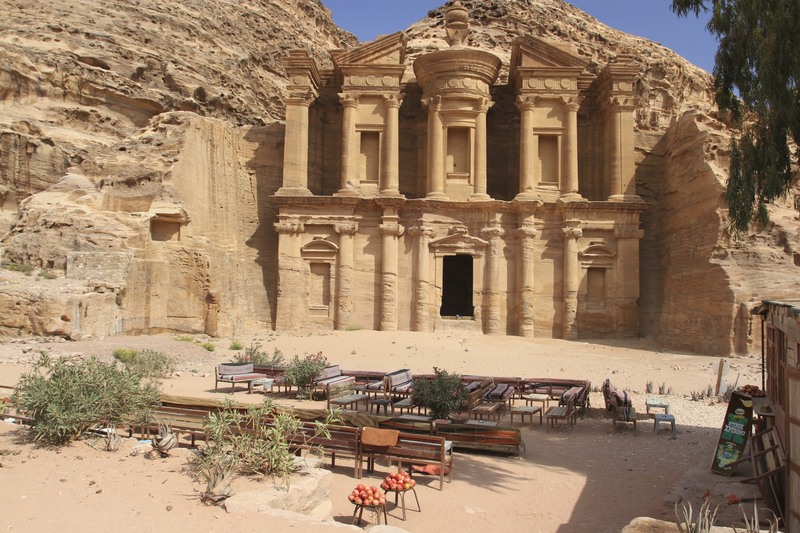 The declaration giving Petra UNESCO World Heritage status states that, the city “bears a unique testimony of a disappeared civilisation in which ancient Eastern traditions blended with Hellenistic architecture.” Wandering the ruins of this once cosmopolitan crossroads between the Red Sea and the Dead Sea, which has witnessed waves of history washing over it, is enough to send a shiver down the spine. 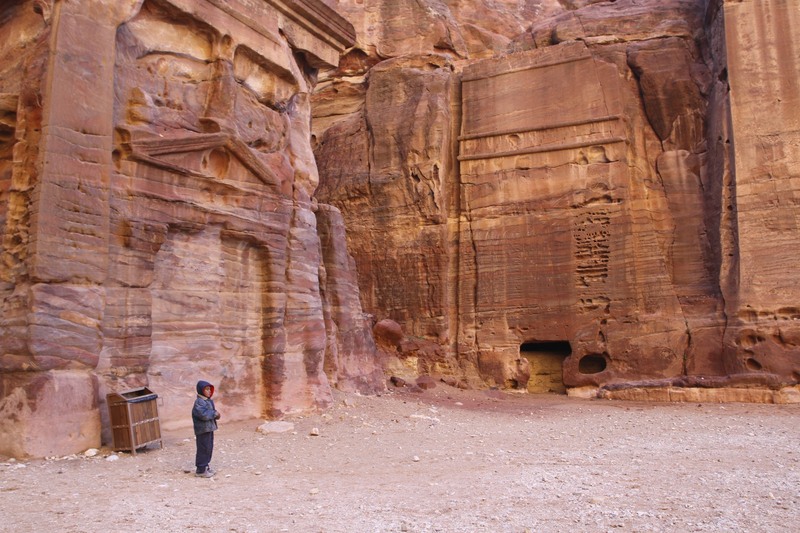 The history of Petra is the stuff of legend, fitting for such a remote and mysterious remnant of an ancient culture. 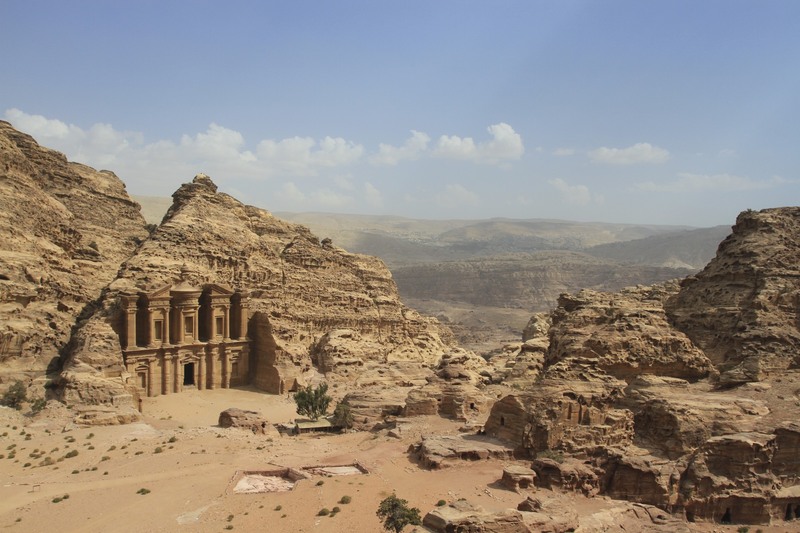 Founded in the 6th Century BC by Nabataean Arabs, it became the centre of a vast Nabataean Kingdom built on trade across the Middle East and extending to East Africa. 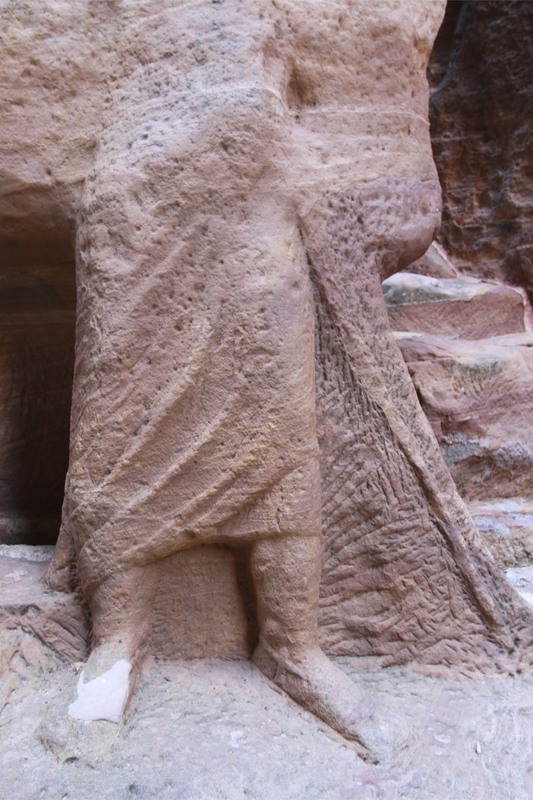 In 106 AD the Kingdom was annexed by Roman Emperor Trajan; under Rome it continued to flourish as a trading centre but became a political backwater. 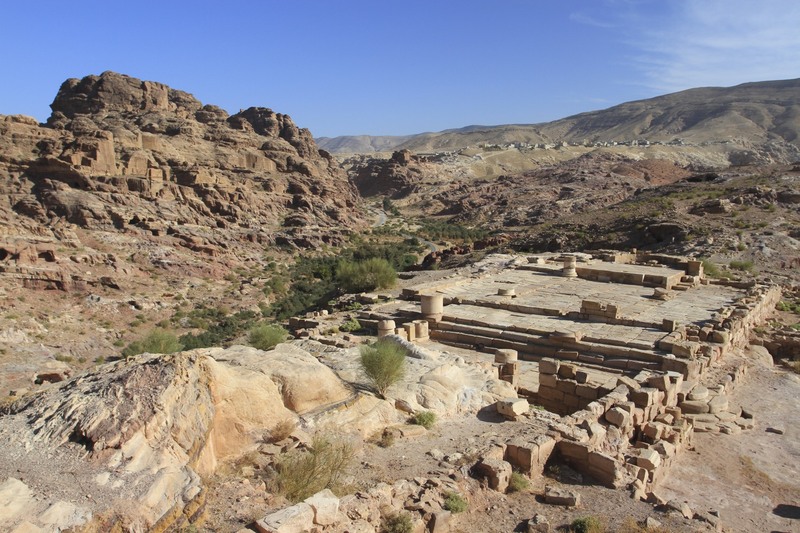 In 636 AD a series of devastating earthquakes severely damaged the city and the city’s sophisticated water system leading to a serious decline. 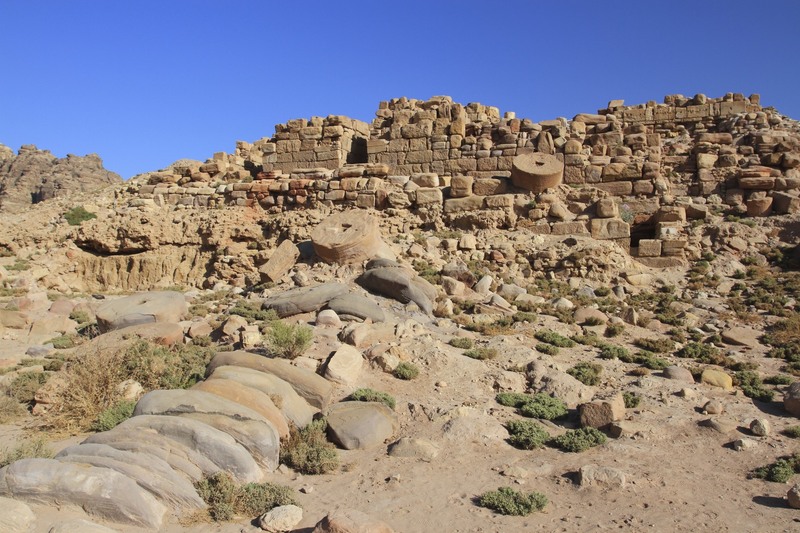 The city fell to Arab invaders capitalising on the weakness of the Byzantine Empire, then 12th Century Crusaders built three castles in the area and the city was again on the political map. 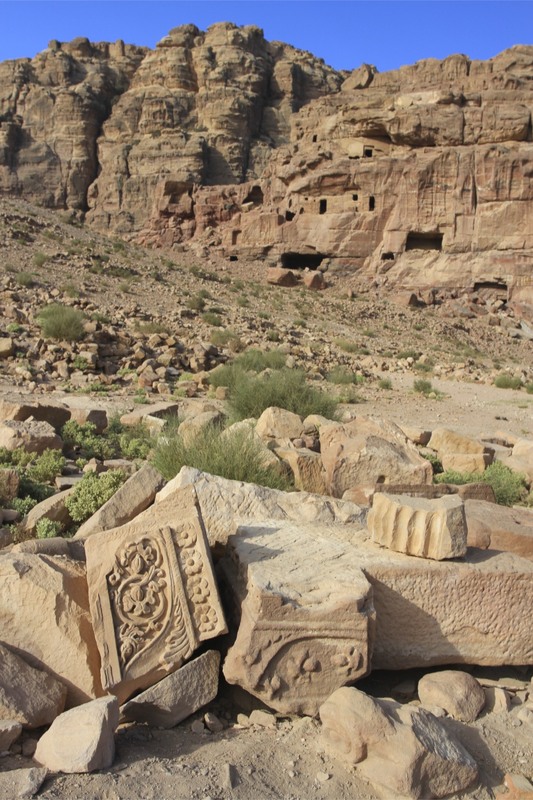 Saladin’s conquest of the region in 1189 saw the city spiral into terminal decline. 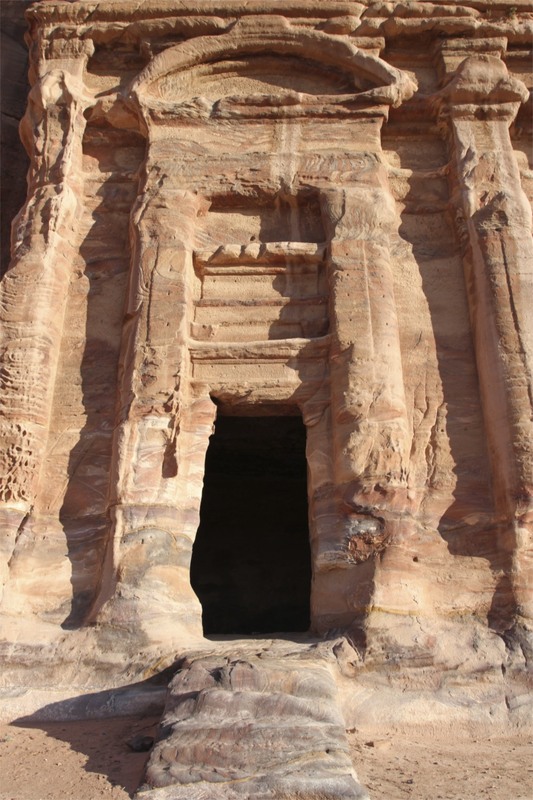 It remained home to Bedouin until its ‘rediscovery’ in 1812. Johann Ludwig Burckhardt was a Swiss orientalist, geographer and adventurer who risked his life to explore the Middle East. 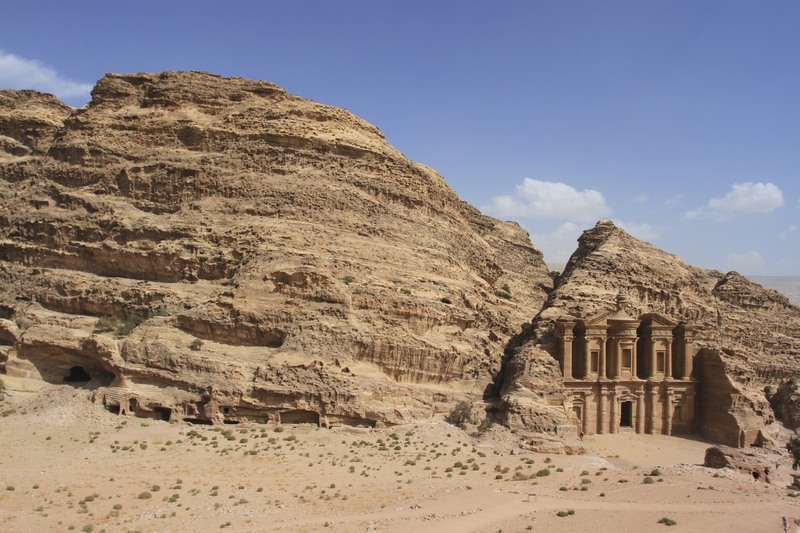 In Syria he heard of the fabled city of Petra and set off in pursuit of this illusive goal. 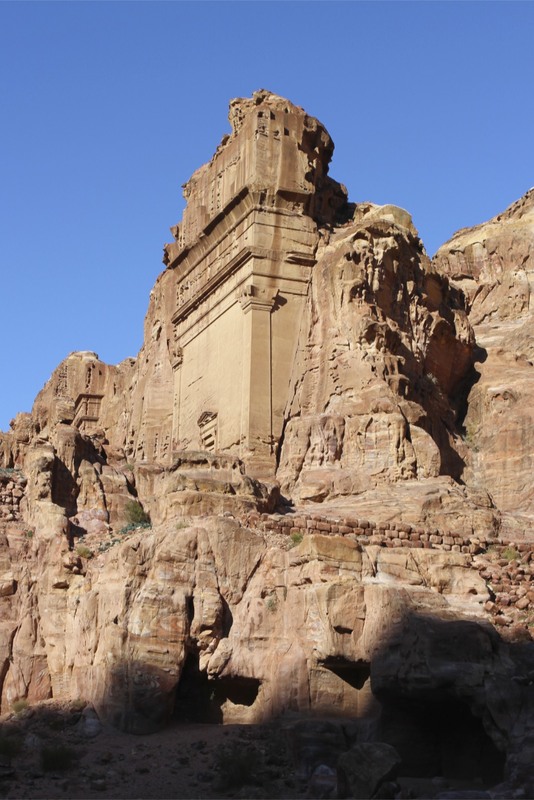 He disguised himself as an Arab scholar and reached the city in 1812. 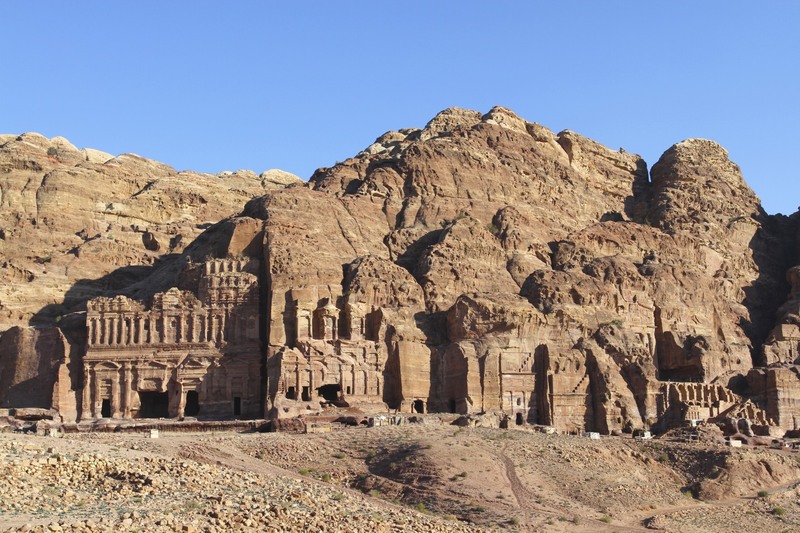 He described Petra as “a rose-red city half as old as time”. Burckhardt went on to visit Mecca and Medina disguised as a Muslim. He would have been killed if discovered, but his Arabic was so fluent and his knowledge of Islamic religious texts so great that he easily passed as an Arab. 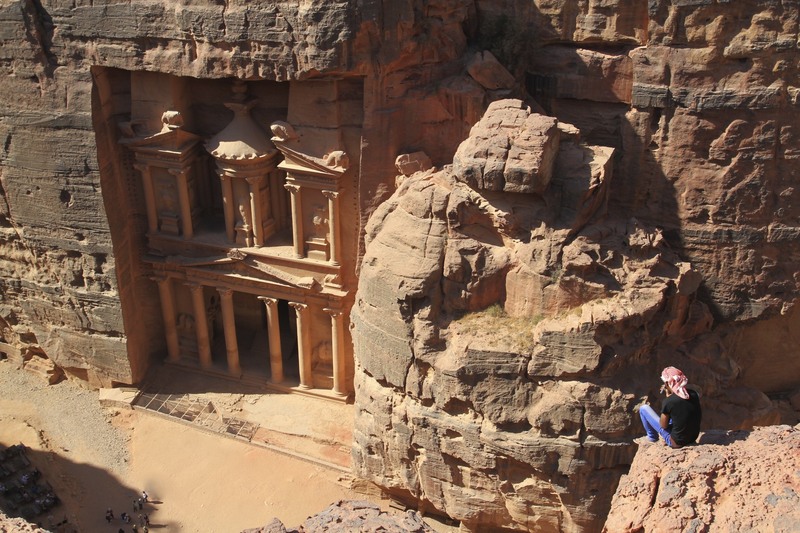 Burckhardt wasn’t the only adventurer to visit Petra. A century later T.E. 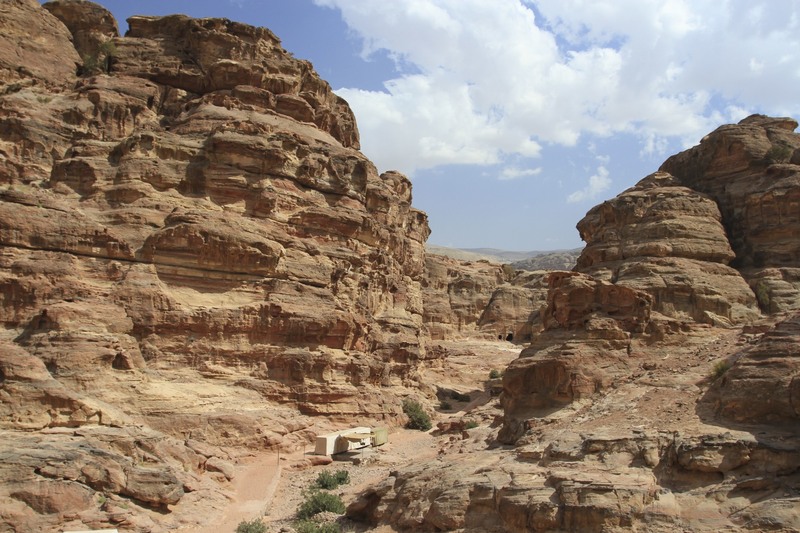 Lawrence (Lawrence of Arabia) raised an army of Arab and Bedouin fighters here to attack the Turkish Ottaman Empire during World War I. The Ottoman forces were destroyed, but the British and French ultimately reneged on their agreement to grant independence to the Arab World. You can pretty much draw a direct line from that deceit to the mess we find ourselves in today. 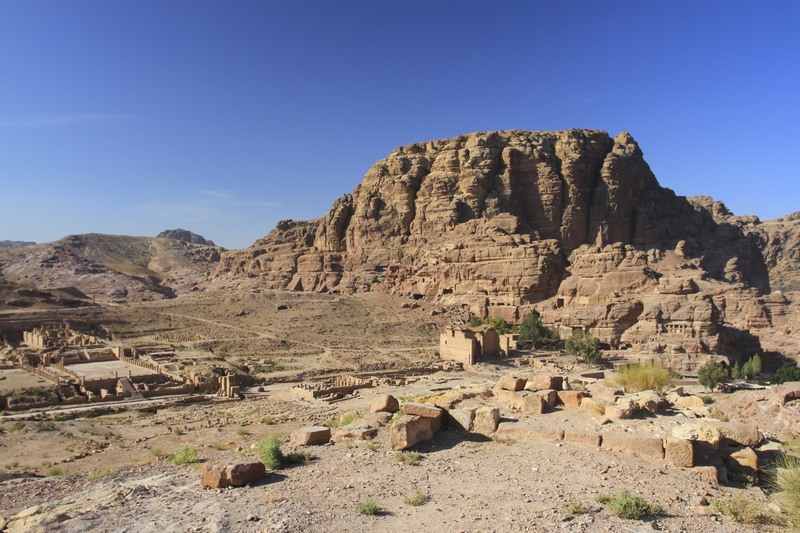 The terrible history of this region was on my mind as I strolled north from the Treasury towards the massif of Jebel Khubtha and the Royal Tombs. 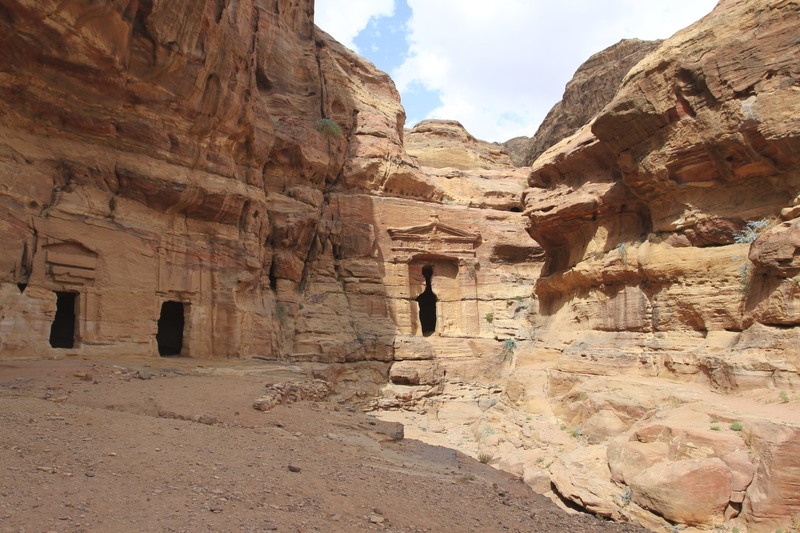 As you leave the closed confines of the Siq canyon it’s possible to appreciate the full scale of what the Nabataean civilisation achieved. It’s truly magnificent. 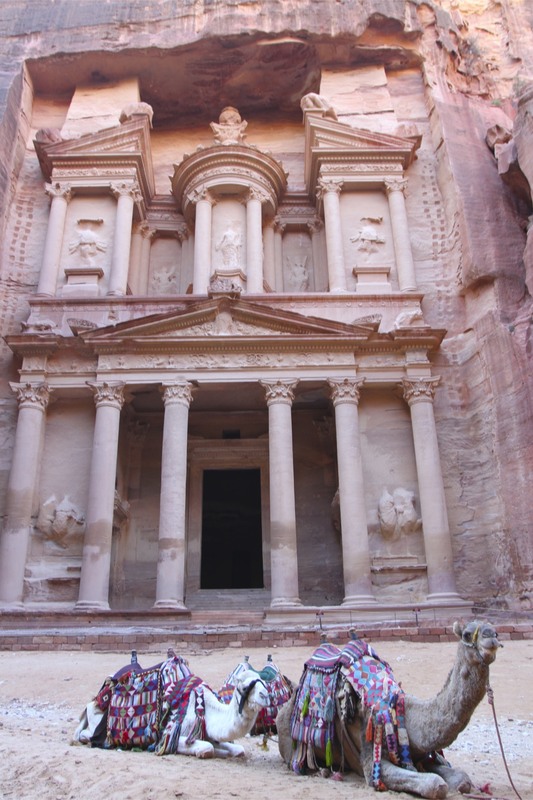 Unfortunately, the Jordanian sun sets early in winter and we could only explore a small portion of the city. The rest, including the ‘Monastry’ building, will have to wait until next time. 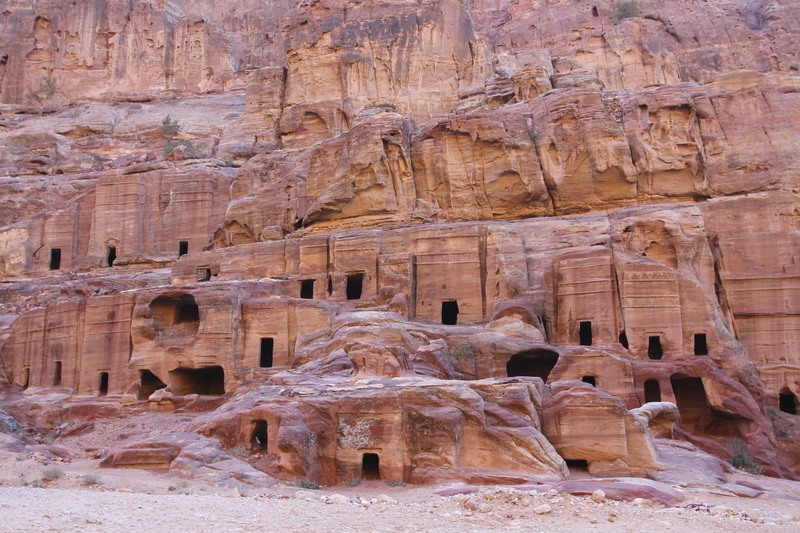 Lost for hundreds of years to the outside world, the ancient Nabataean city of Petra is an extraordinary place to behold. 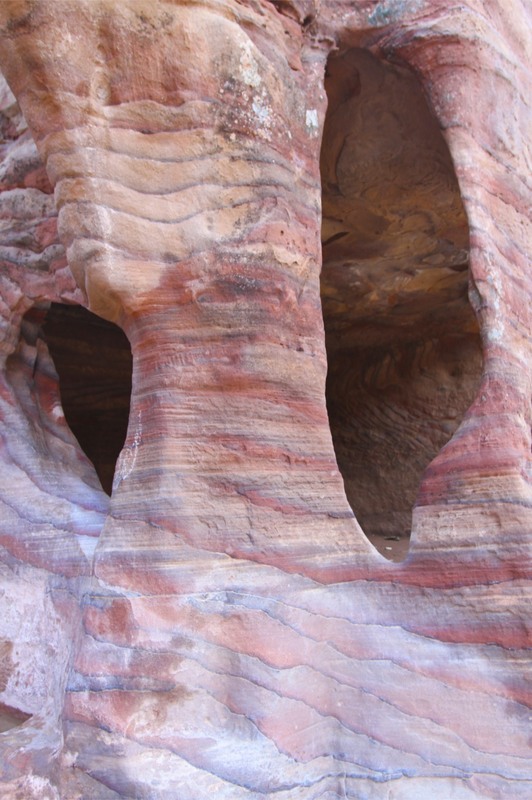 The former capital of the Nabataean Kingdom, which stretched across modern-day Israel, Palestine, Jordan and a chunk of Saudi Arabia and Syria, is literally carved out of multi-coloured sandstone cliffs that glow with intense colour as the sun rises and sets. 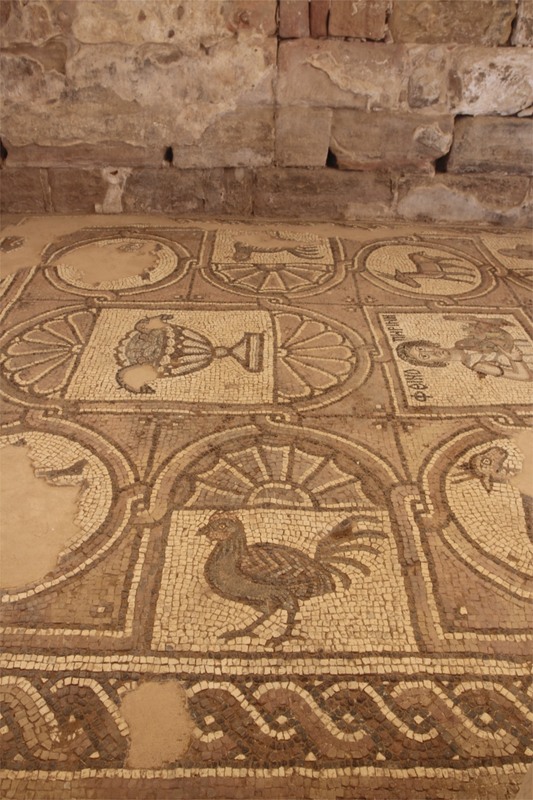 The city is enormous – perhaps home to over 30,000 people at its pinnacle in the 1st Century AD – its construction a monumental effort. 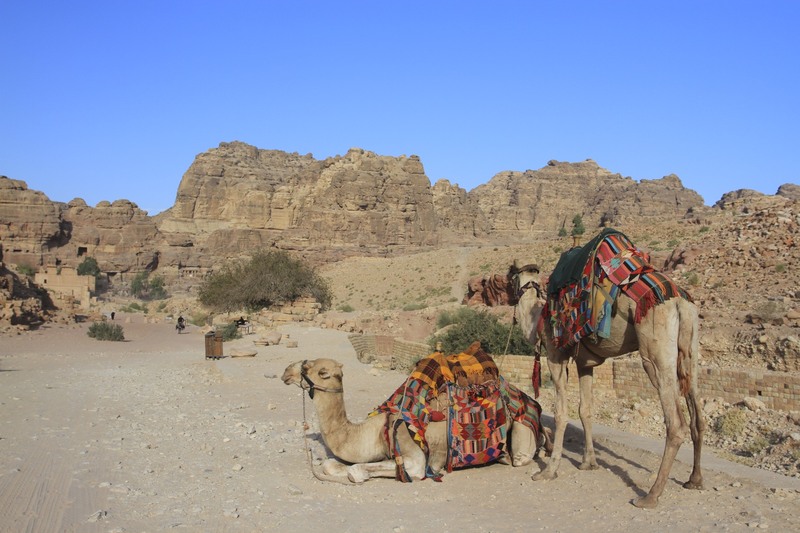 A major trading centre, huge camel trains would stop en route between the Red Sea and the Dead Sea. Seeing it today, it isn’t too much of a leap of imagination to visualise a thriving and cosmopolitan metropolis with trade routes extending to the Indian Ocean and East Africa. 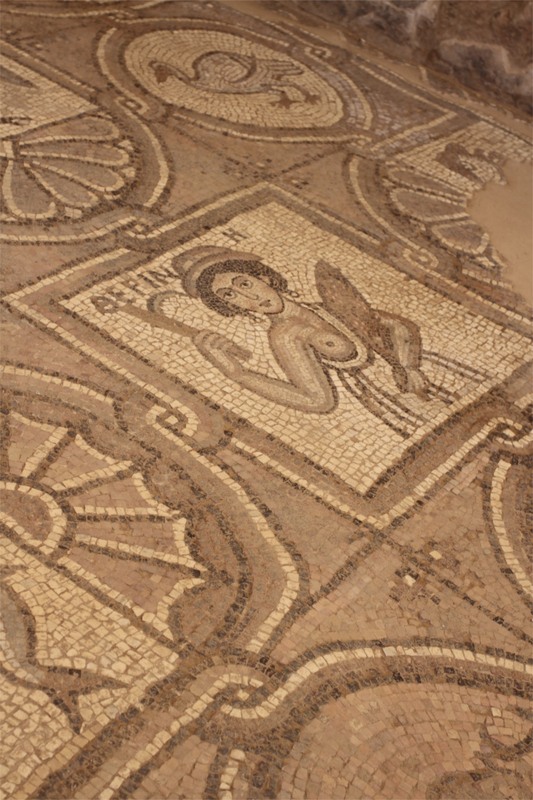 When the Nabataean Kingdom was absorbed into the Roman Empire it lost its former importance. 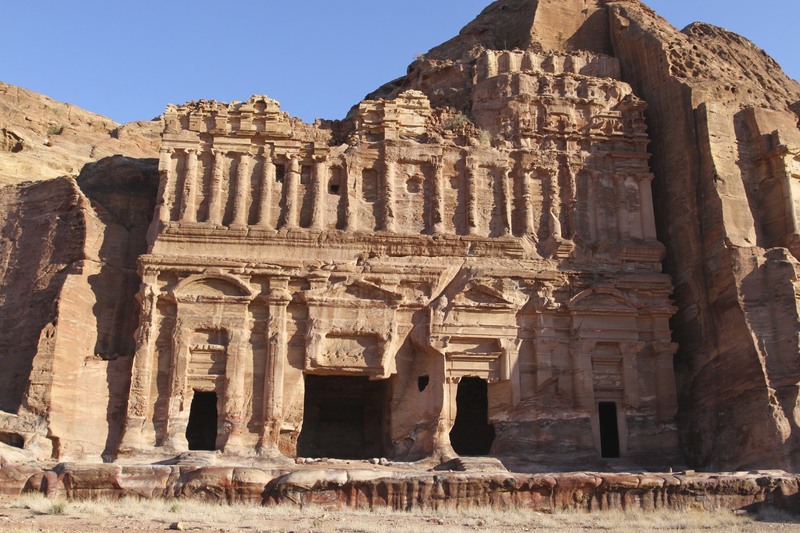 A long slow decline set in, leading to the abandonment of Petra. 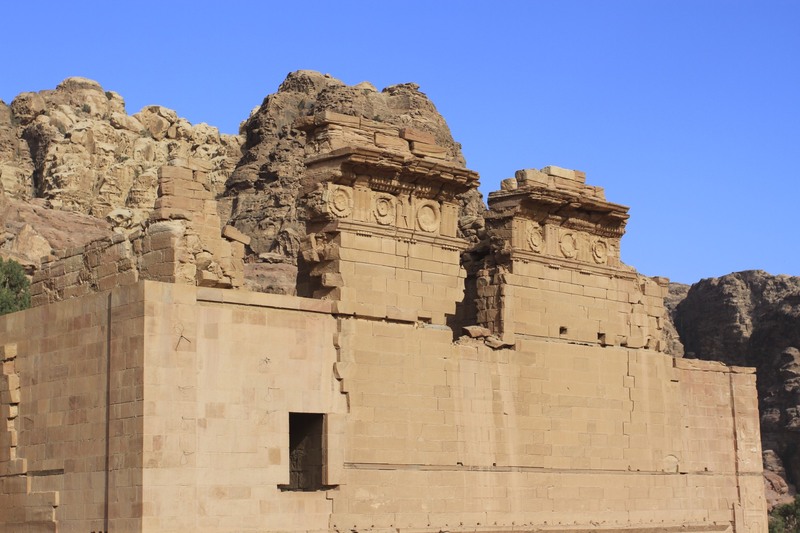 Trade dwindled, people left, and by 700 AD the city was a shadow of its former self, at least according to archaeologists – written records are limited. 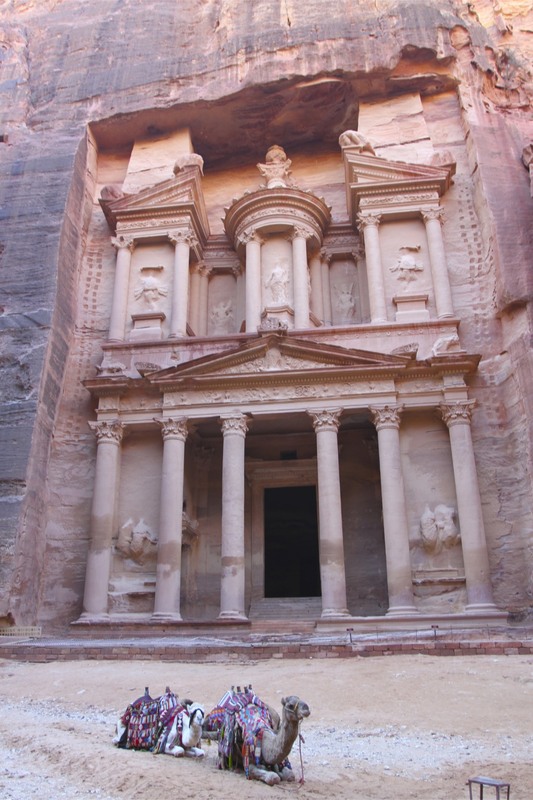 Petra is one of the most famous archaeological sites in the world. 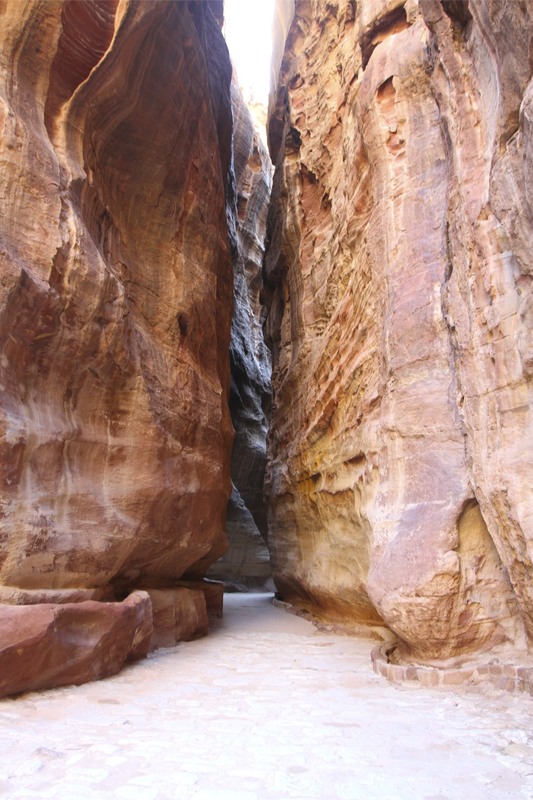 Everyone has seen photos of the iconic facade of the Treasury, or Khazneh el Faroun, viewed from the extraordinary slot canyon known as the Siq. 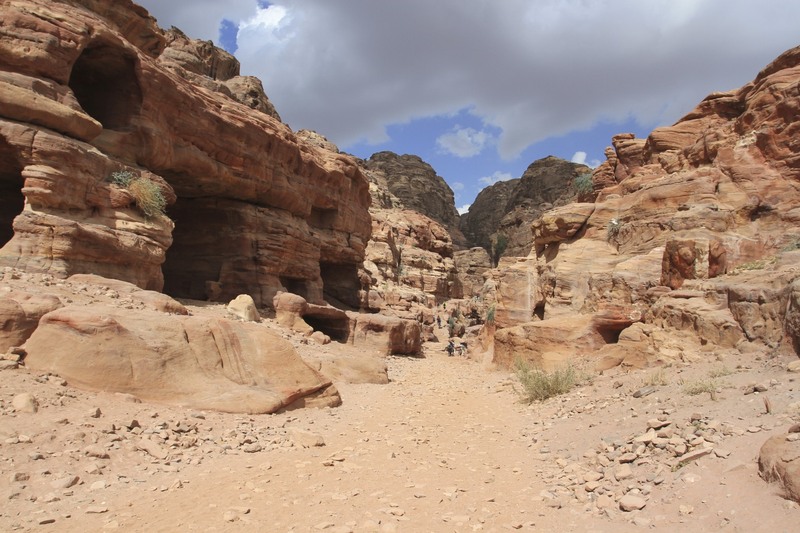 This is where Harrison Ford and Sean Connery galloped off into the sunset at the end of Indiana Jones and the Last Crusade. It is so familiar that I had a genuine fear of being underwhelmed. 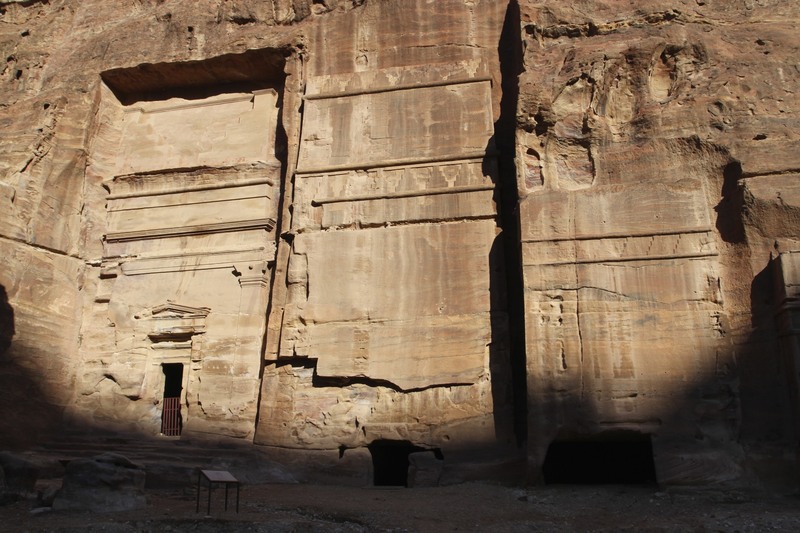 I needn’t have worried, even with the occasional tour group marching past and persistent camel ride offers, this is a sublime place full of atmosphere and the shadows of history. 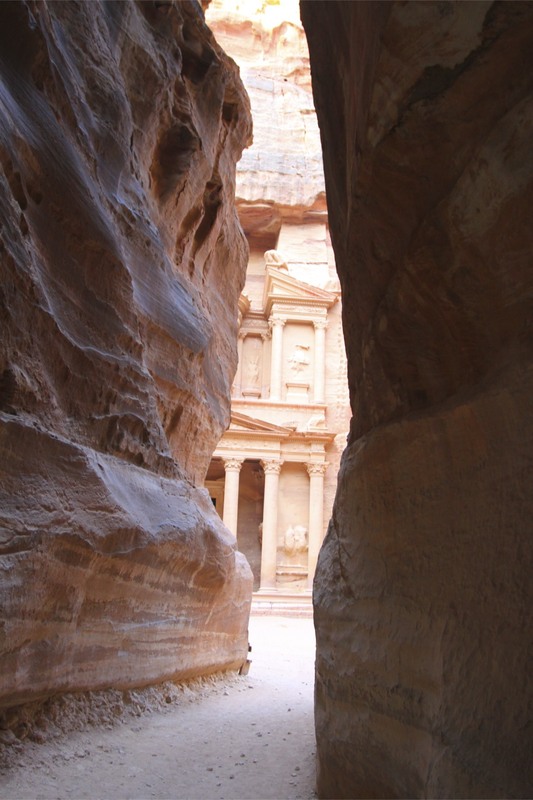 Petra was visited by nearly a million people in 2010. Since then violent chaos in Iraq, the Arab Spring and collapse of Syria into vicious conflict have seen a dramatic fall in numbers. In 2013 there were nearly 400,000 fewer visitors, I’d guess the figure will be even lower for 2014. 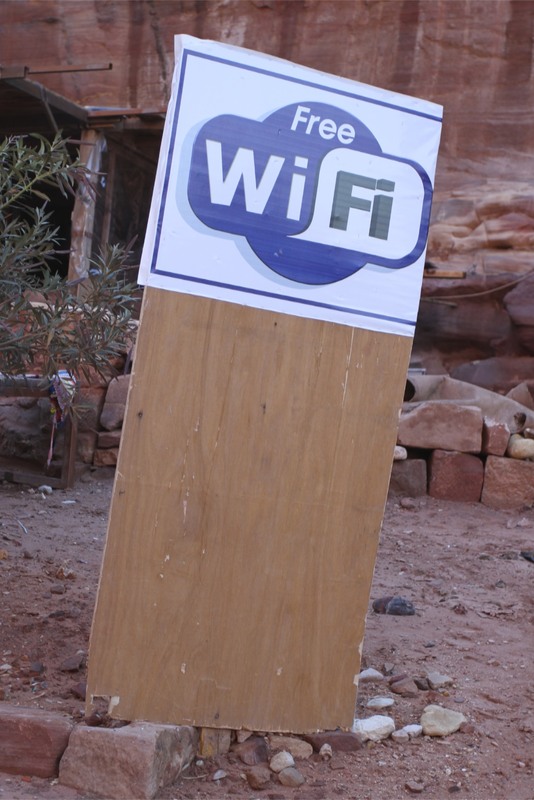 We were told that the previous week had seen only 50 visitors per day. There were more than that when we were there, but not by much. 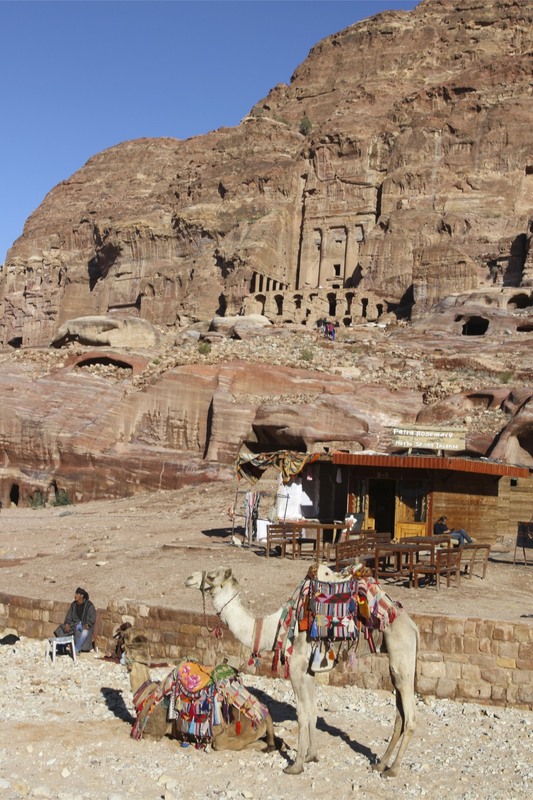 This has positives and negatives: fewer people means a more relaxed environment to explore the site; it also means you’re much more likely to be targeted for camel and donkey rides, as well as unpromising looking tourist tat sold by Bedouin children. 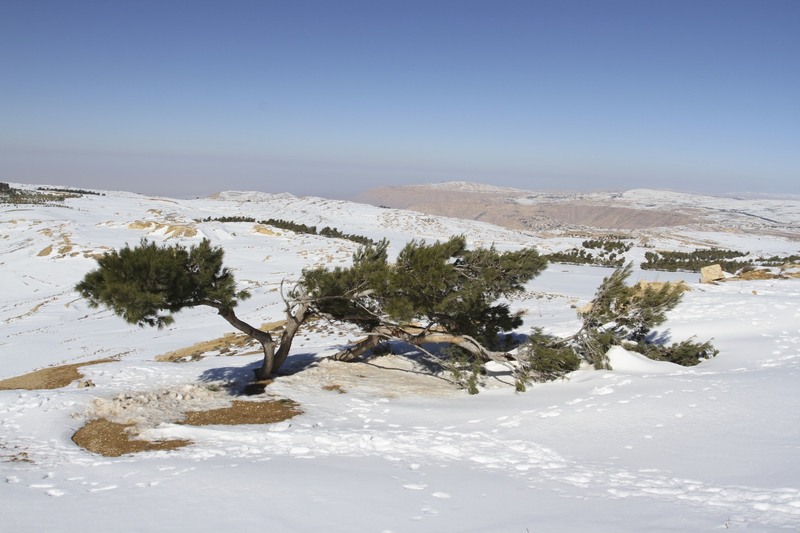 January is cold in Jordan and we’d been greeted at the airport by rain which turned to snow when we drove over the hills towards the Dead Sea. 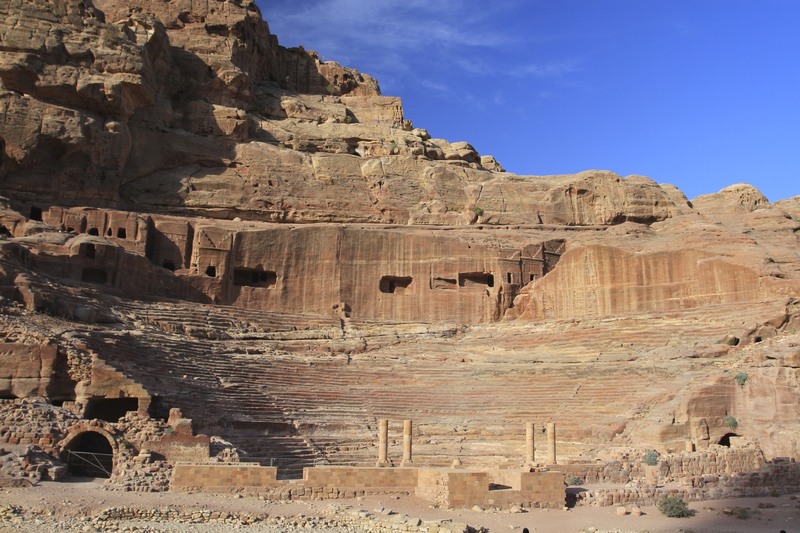 The drive to Petra took us into the high mountains in which Petra sits, it wasn’t long before we found ourselves passing through ancient villages dating from the Ottoman Empire surrounded by snow – snow in the Middle East! 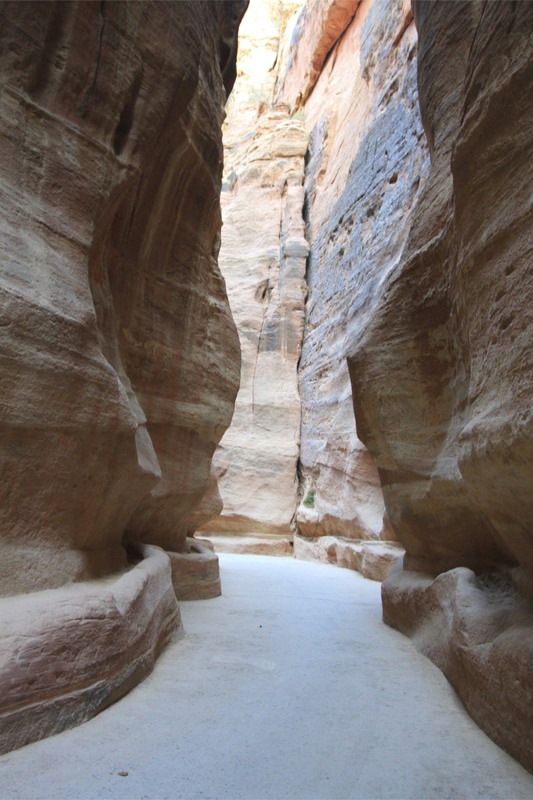 Arriving in Petra we walked through the Siq canyon between towering walls of sandstone towards the Treasury. 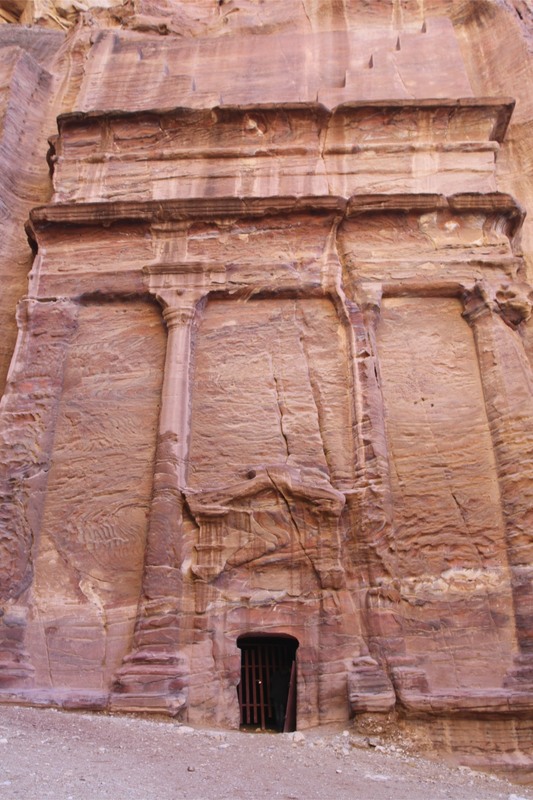 It is perhaps the most extraordinary entrance to a city, ancient or otherwise, anywhere on the planet. 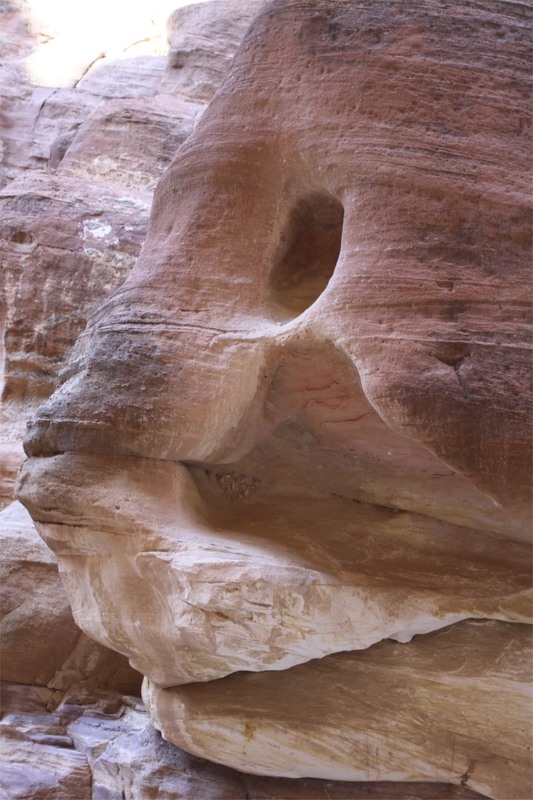 We hired a guide for a couple of hours, without whom we’d have missed a lot of detail in the Siq, including a boulder that looks like a fish before transforming into an elephant. 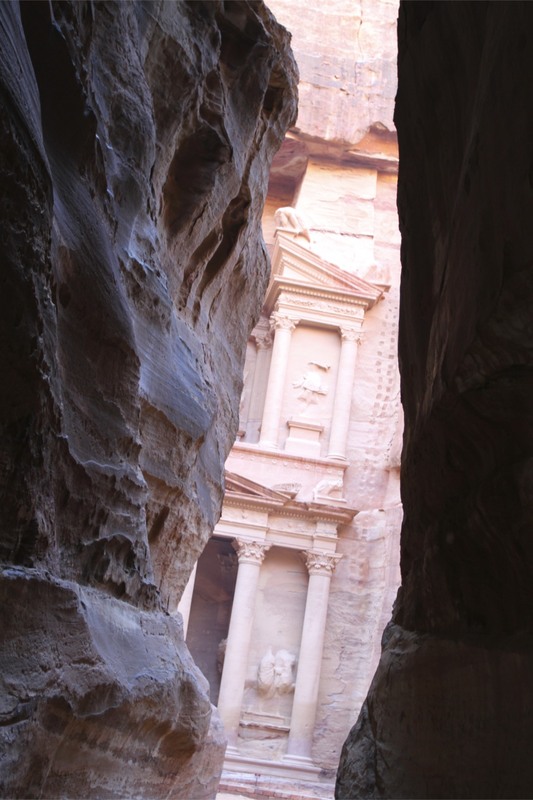 The first sight of the Treasury facade, glimpsed from within the canyon, is startling. 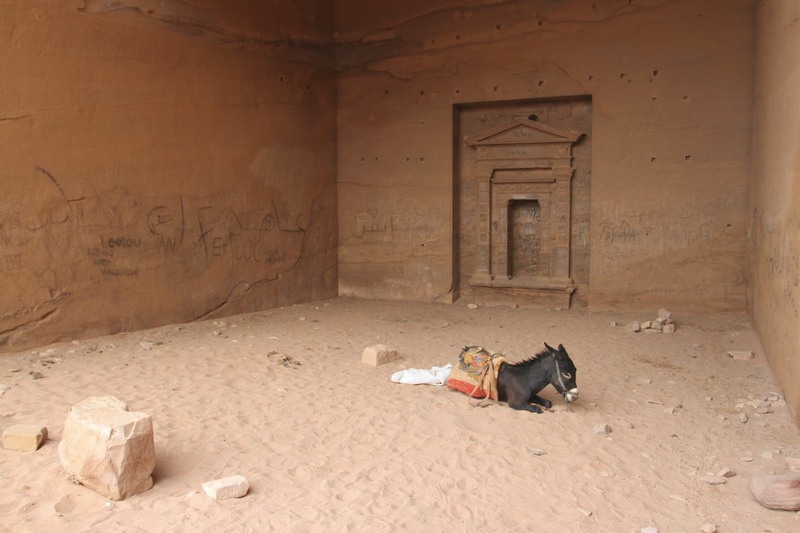 Entering the large space in front of the Treasury is nothing short of magical, although the smell of camels takes the edge off it a little. 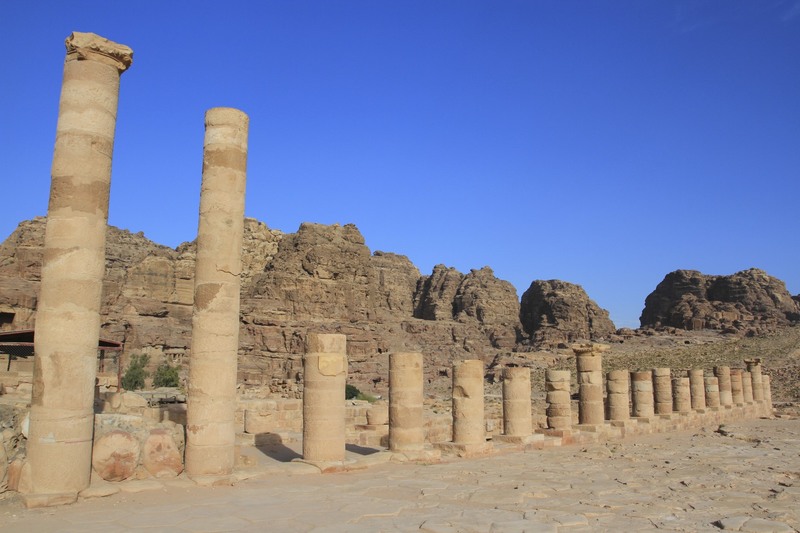 The whole building is a tremendous mixture of Nabataean and Greco-Roman architectural styles, highlighting the ‘global’ position of this city over the centuries. 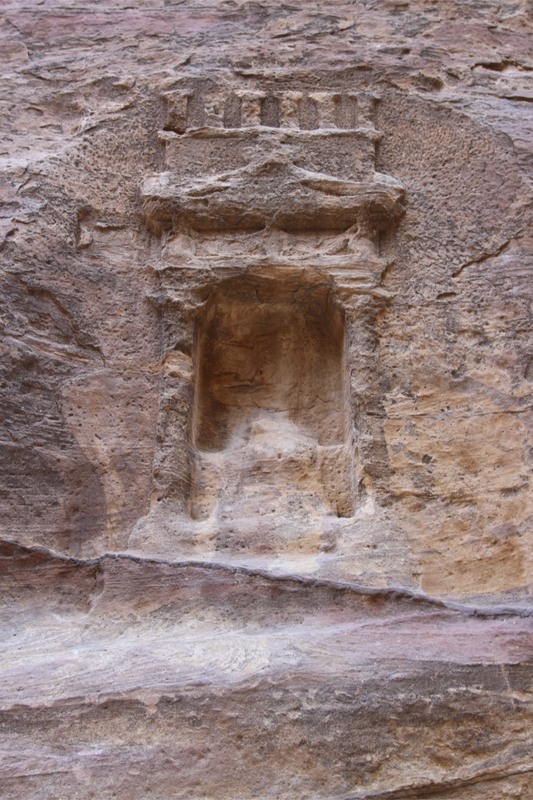 The facade is pockmarked with holes; not the result of the wind and rain which carved this landscape, but of bullets from Bedouin guns. 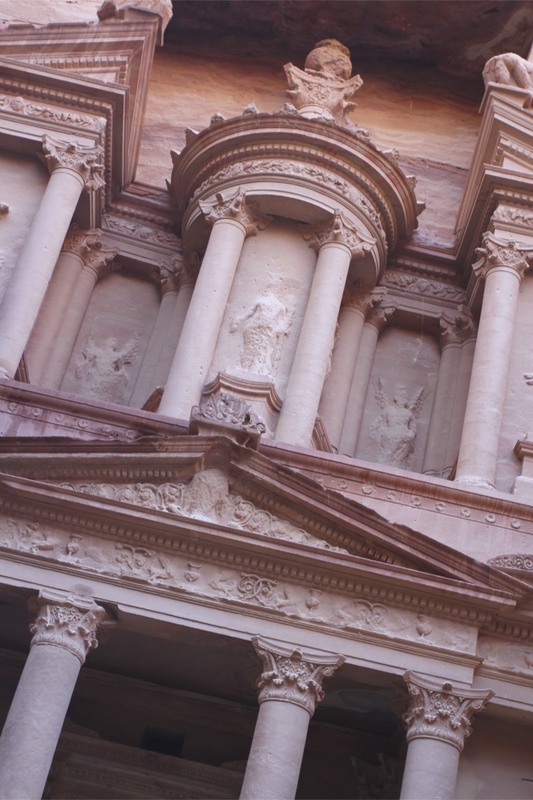 A destructive belief that a carved urn on the facade contained treasure was the cause. 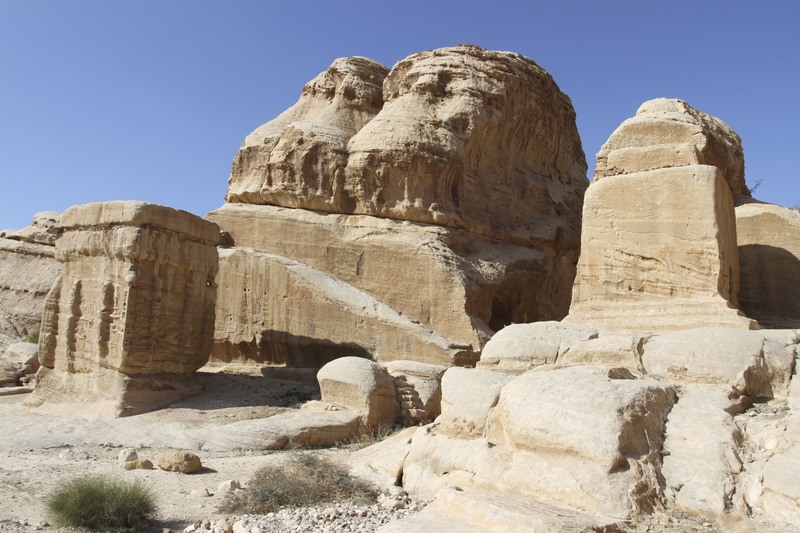 The Bedouin who have inhabited this region for centuries tried to break it open by shooting it, not realising it was solid stone. 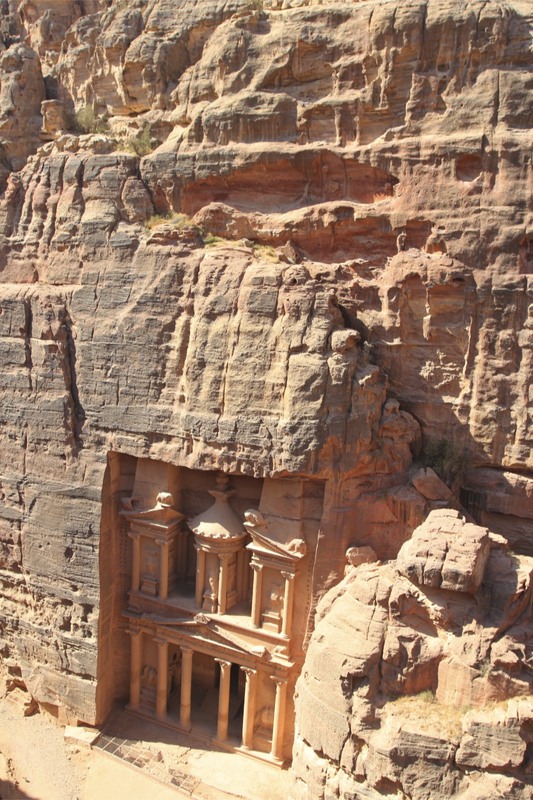 Any actual treasure was stolen long ago by tomb raiders. 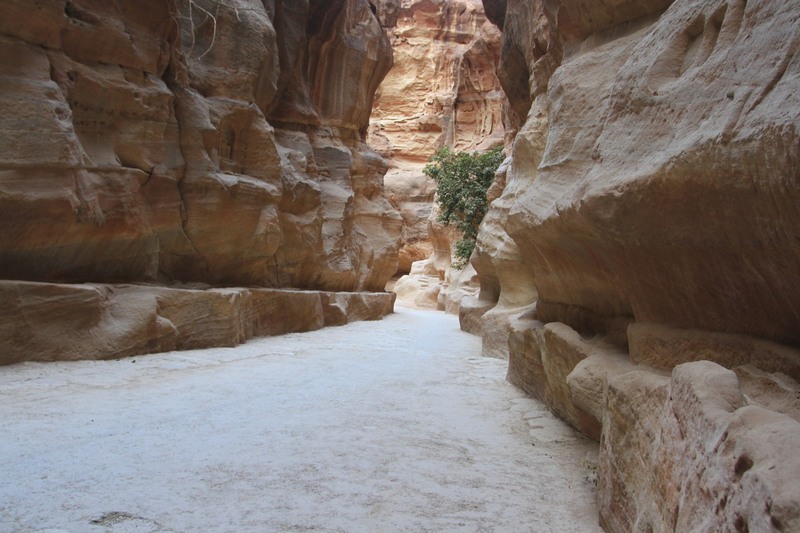 If there is a downside to Petra, it is that the management of the whole place feels chaotic. 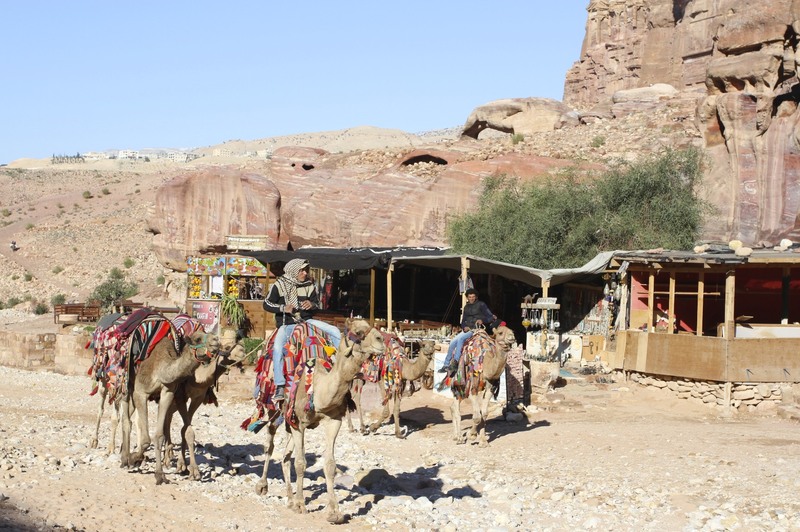 There are ugly looking shacks selling tourist souvenirs; Bedouin gallop past wildly on horses, camels and donkeys, many of which look like they aren’t well treated; and, in truth, it feels a little run down. 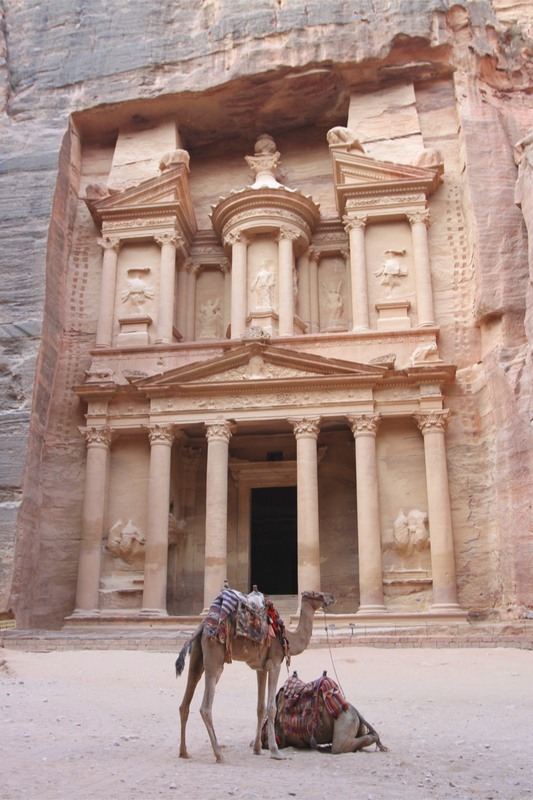 It wasn’t what I expected of one of the most famous places on the planet and Jordan’s premiere tourist attraction.